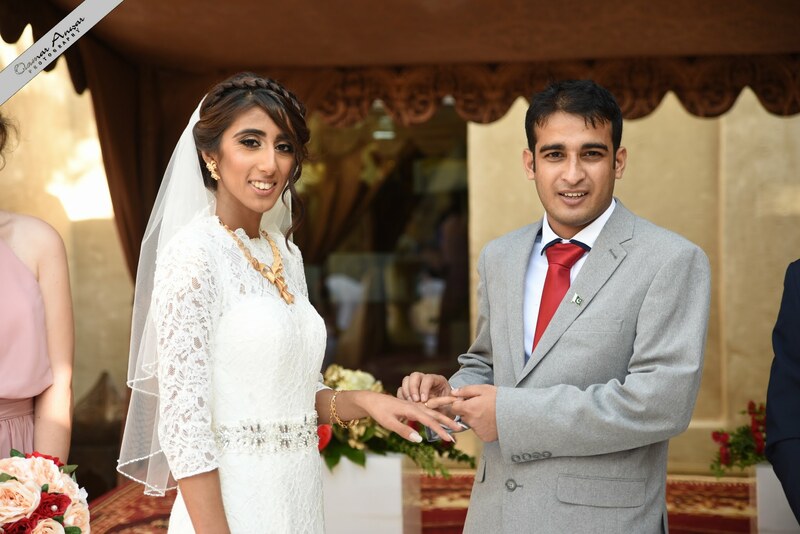 Our wedding in Dubai finally happened @ Bab al Shams Resort! I know I am super late with this one but to be fair I know you guys will forgive me when you know what I’ve got in store for you today! I didn’t post our April picks because as you all may know now April was Wedding month for us.. So here is our wedding “post” . After so many years of waiting, contemplating and the ups and downs, he put a ring on it, and my advise to you all.. Planning a wedding is not as easy as it looks, and don’t get me started on destination, international weddings! So lets start from the start.. Setting the date, why, when, where, and how! 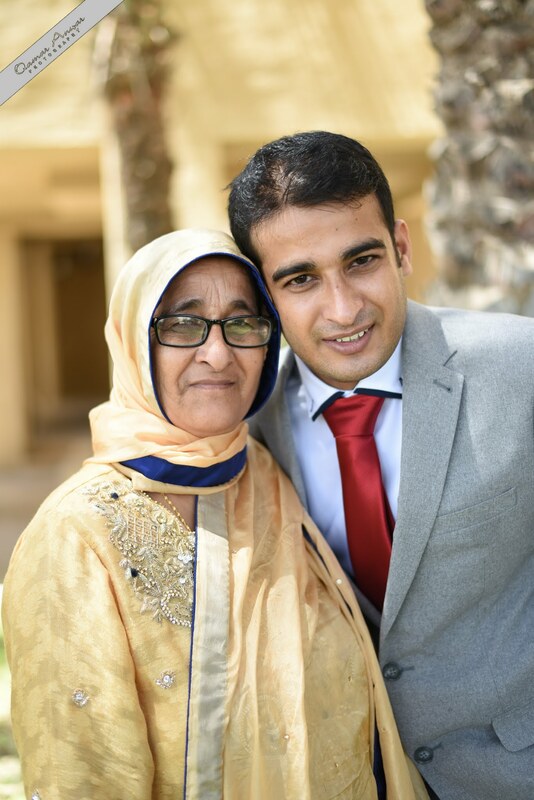 In both our cultures there are a lot of traditions, customs, and festive days when somebody gets married, and I wanted every tradition in the book. For my side it all began with the week leading unto the wedding; The Sangeet nights. This event can be anything from a 1 week+ , because I had exams and was completing my final year of university, we had Sangeet nights for 1 week. In these nights, family and friends will gather at the bridal house or a designated hall and sing old folk songs (The old ladies) and the young ones will usually have their own little dance session. It is also custom for a different member of the family to bring the food/snacks each night. I am fortunate enough to come from a huge extended family in my own home town, so every night a different Aunty would bring food! 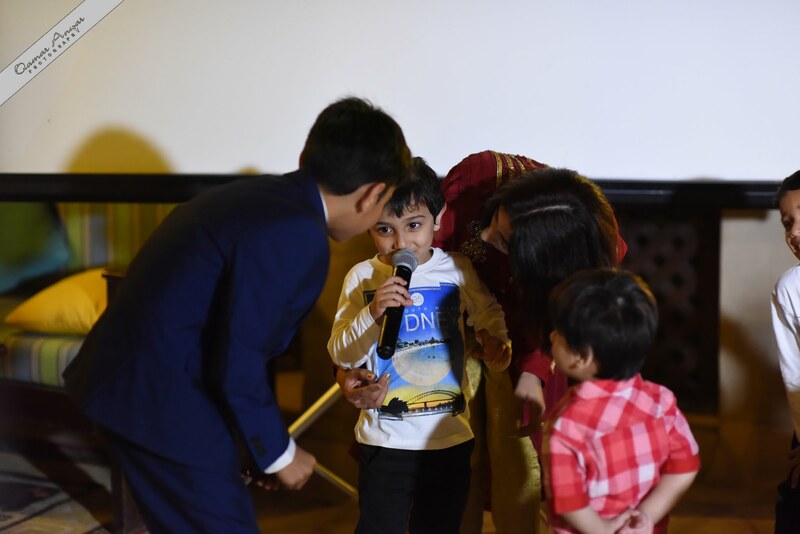 I won’t be posting the video of the sang nights as it would be quite difficult to get the permission of every aunty in the family and these are usually ladies only events, so some may not be comfortable with me sharing the videos. 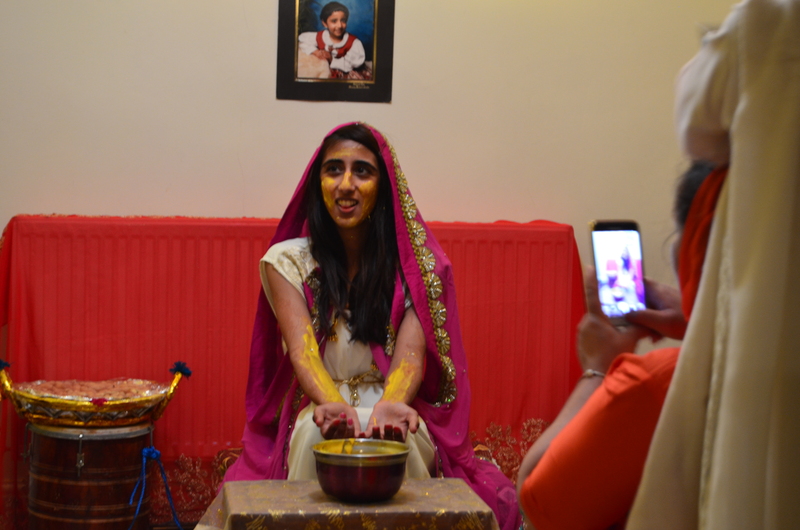 After the Sangeet nights, on the last night we had a ceremony called a “Haldi”. This is where the brides family and girlfriends, cousins and sisters, will all gather at the girls house and apply a “Haldi” (Tumeric) Paste on her arms, hands, legs, and face. My mother and father prepared the room with pictures of me through the years! The story behind the Haldi ceremony is that the bride will retain a beautiful glow as she enters her marriage. 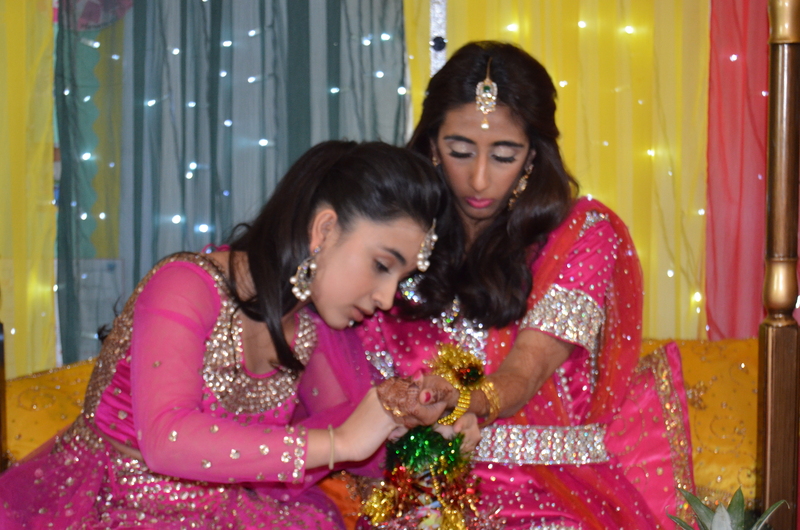 The final custom I had in the UK was my henna ceremony, also known as a “Mehndi”. 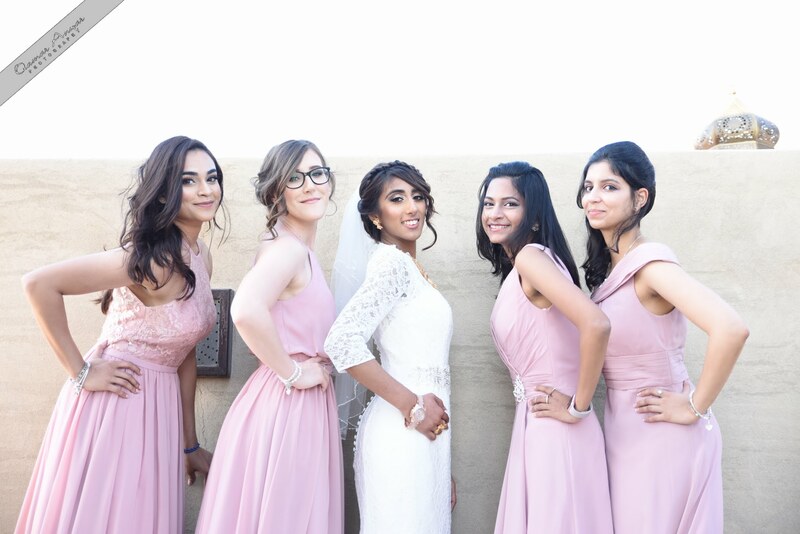 This is another fun evening full of fun, dancing, giggles and jokes that the bride can enjoy with her sisters, female relatives and girlfriends! It has become more common that couples have a joint Henna ceremony now. 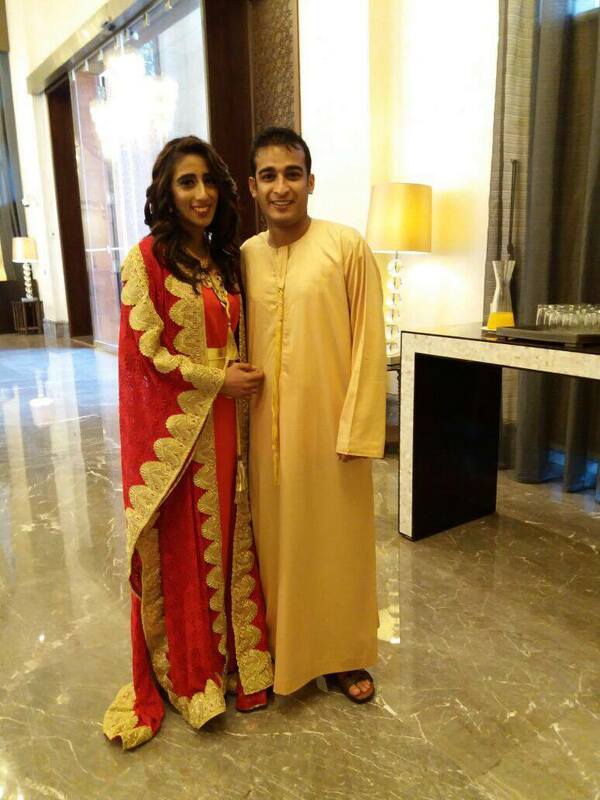 They will have their Nikkah (Religious ceremony), then a joint Henna. Traditionally though they are separate, and a girls henna is the night she gets her wedding henna applied. 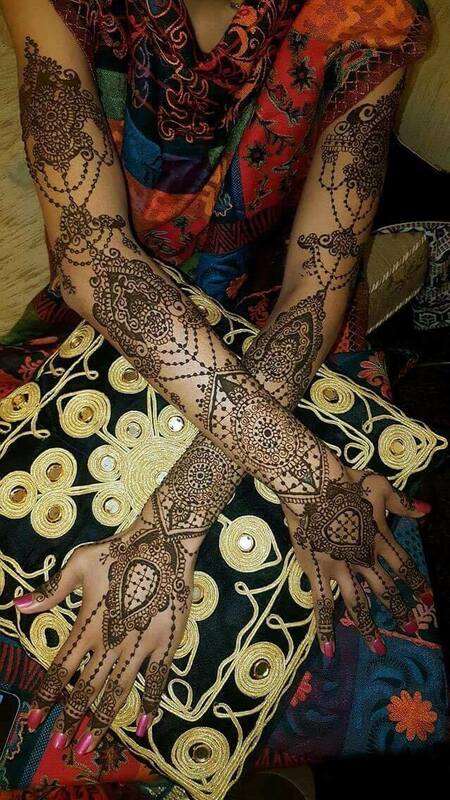 The deeper her henna, the more her husband supposedly loves her after their marriage! 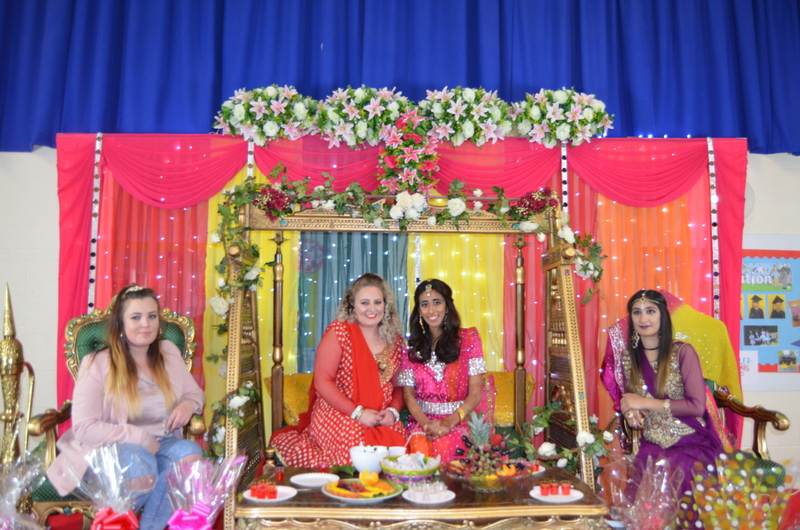 However, I didn’t have my henna done on the night it was done a few days before, purely for practicality of the event, so I had a small leaf where my guests dabbed henna, then fed me some fruits, sweets or jelly! I ordered my outfit from 7aatrang on stratford road in Birmigham in January, for February, and my order arrived a day before my henna ceremony at the end of march. I was very upset because it was the first outfit I had designed myself. After they changed the date on their copy of the receipt, lied to me continuously about their orders and delivered an outfit that was NOTHING like my description and sketch, I was a very #AngryBride. I would not recommend this company to anybody, they are liars, scammers and very unprofessional, please don’t make the same mistake I did! Due to their useless, unprofessional and late business practices, 2 days before my henna I was left looking around for another outfit. Luckily, in a shop just 2 doors away, I found something similar to what I had designed… if Not better! Daneen is a family run shop that were honest and down to earth. They took my measurements and did the necessary adjustments to the outfit I chose within the hour! Unfortunately my mothers outfit hadn’t arrived at all, so we set out to find her one too. Golus on Alum Rock Road is another shop I would Highly recommend, their in house tailor fitted her outfit within the hour too! My outfit was from Daneen, Stratford Road, Birmingham. My Make up was done by Arman Milind. 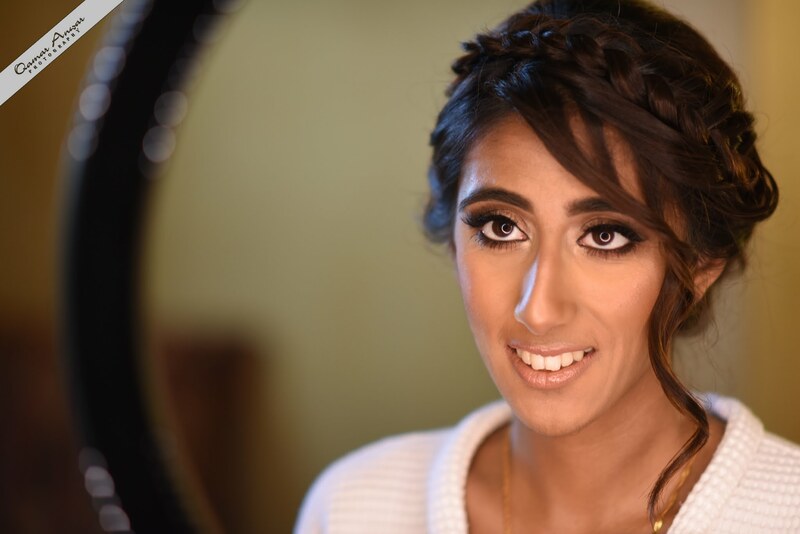 A make-up artist who has a refreshing approach to beauty, Arman represents a new breed of make-up artists who blends experience with inspiring palettes, to create fabulous looks. 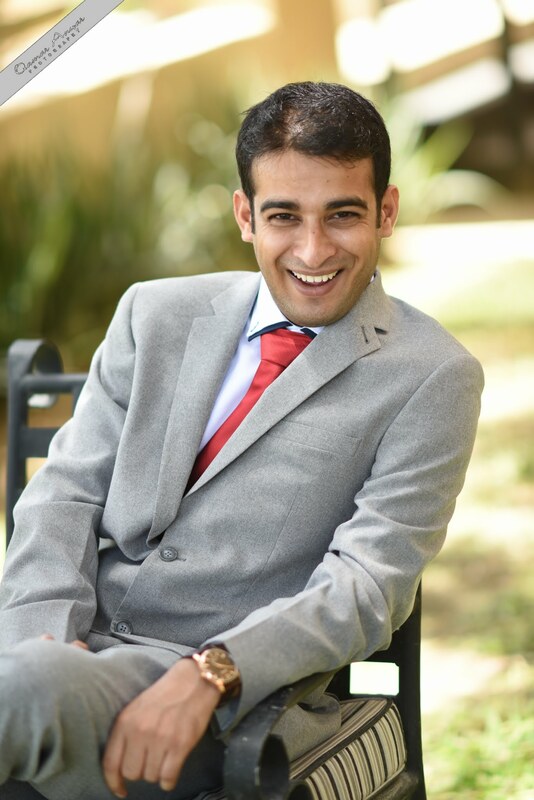 With 9Years at Mac and having graced the pages of many publications, Arman is not only a true professional but also fun and bubbly in person. My Hair was styled by Gora at Goras Salon in Birmingham. 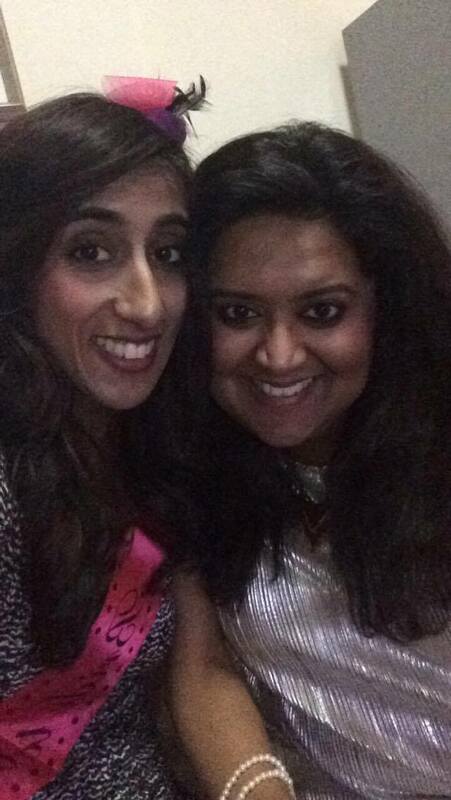 Goras is a fun and lively salon that I went to with my bridesmaid. With years of experience and obviously a natural customer service knack and bubbly personality, the owner Gora gets my 10/10. 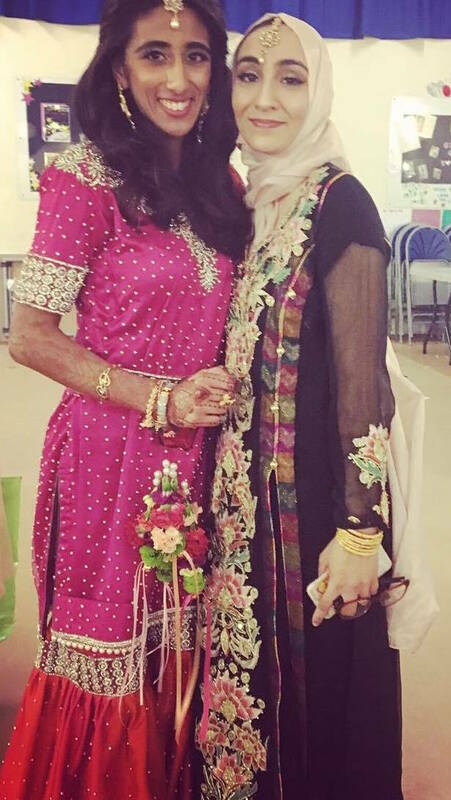 My Henna was applied by Madiha Jamil, Madihas Ethnic Trends. 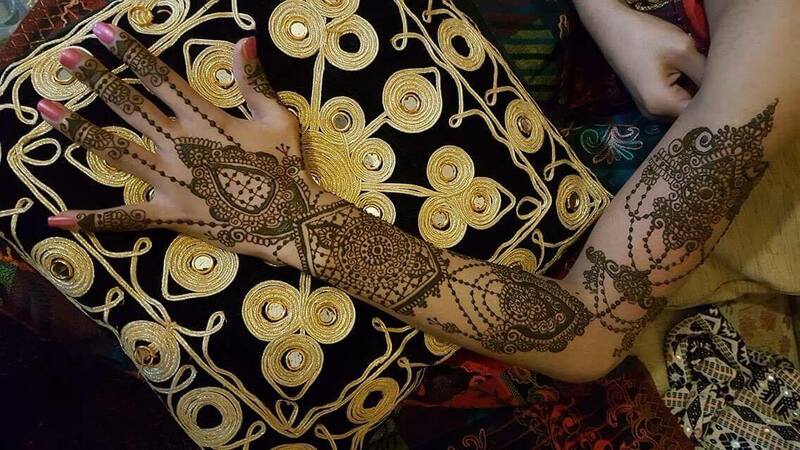 A professional henna artist who has excelled in her line of work from simple designs to intricate wedding henna, Madiha has many years of experience. 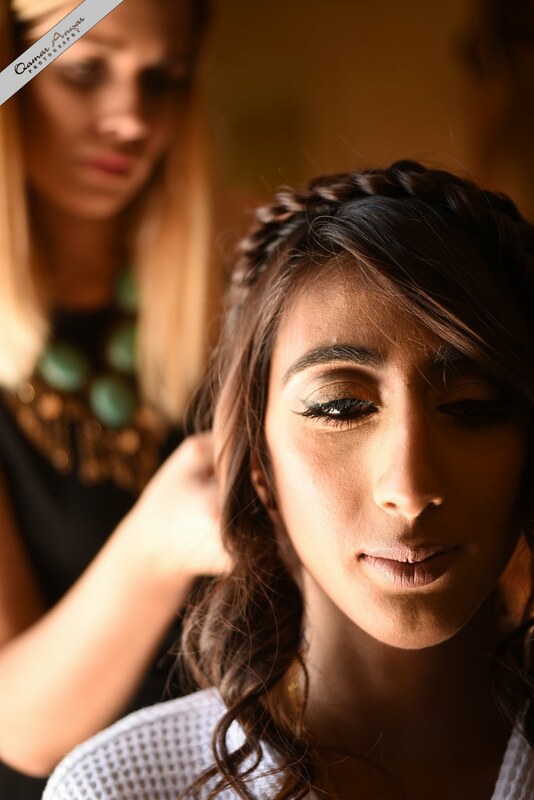 She has also graced many local newspapers and is well known as one of, if not the best henna artists in Burton! 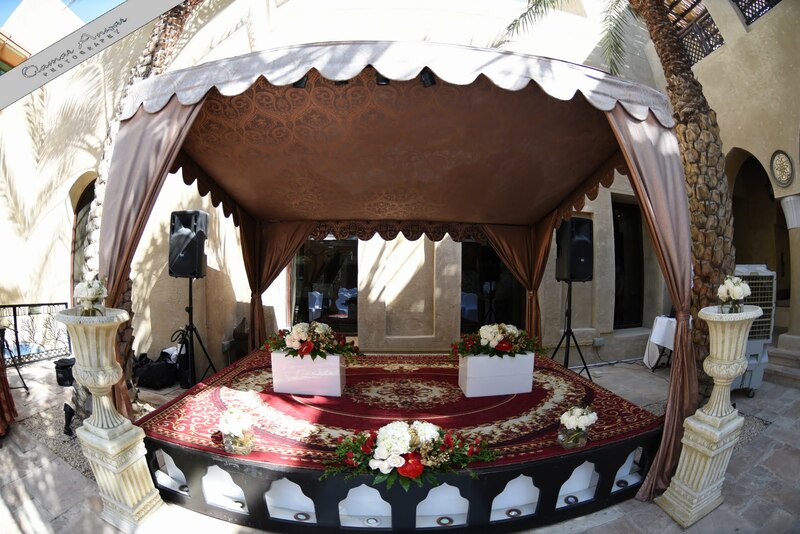 The stage set up was done by Asian Wedding Services . They were very friendly, professional and punctual. They came an hour before the event and set the stage and surroundings up, and then at the end to pack it all away. Their staff was very accommodating to our needs in that I wanted to customise one of their stage set ups, taking away the umbrellas and choosing a different colour scheme. I would definitely recommend these guys! You can see the stage set up in some of the pictures below! Bridesmaid tying a “Kangana” (Bracelet made from fresh flowers/Tinsel) Around my wrist. 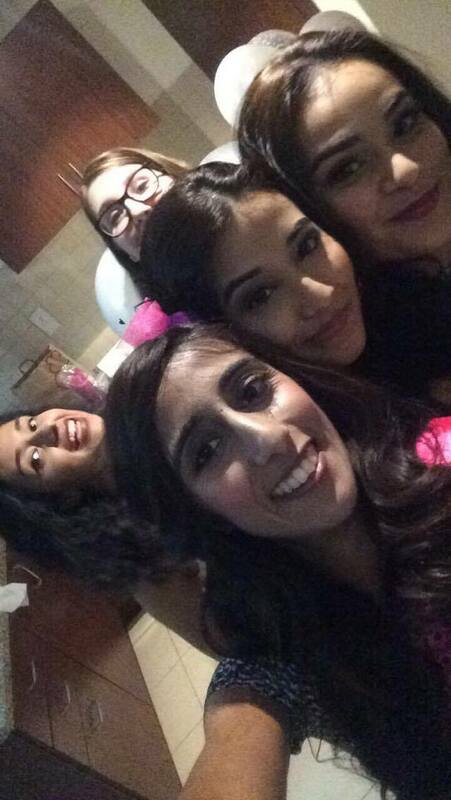 I would like to thank my Maid of Honour Ana and Bridesmaids for this wonderful night with my girls before my wedding! 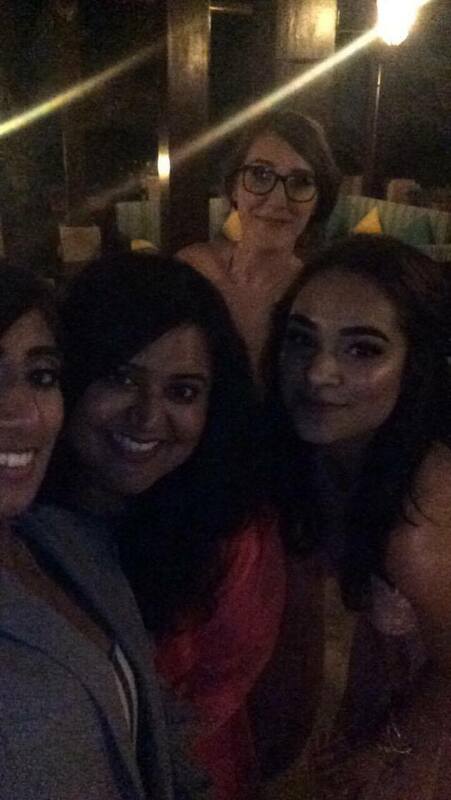 A few weeks before the Bachelorette we booked 21 JBR . An apartment in a residential area of Jumeirah Beach Residence. I thought the name of the hotel was 21… So when we arrived at 7PM, the owner wasn’t around, nor was he answering the phone… So we quickly booked another hotel apartment in the vicinity… And the party went on! 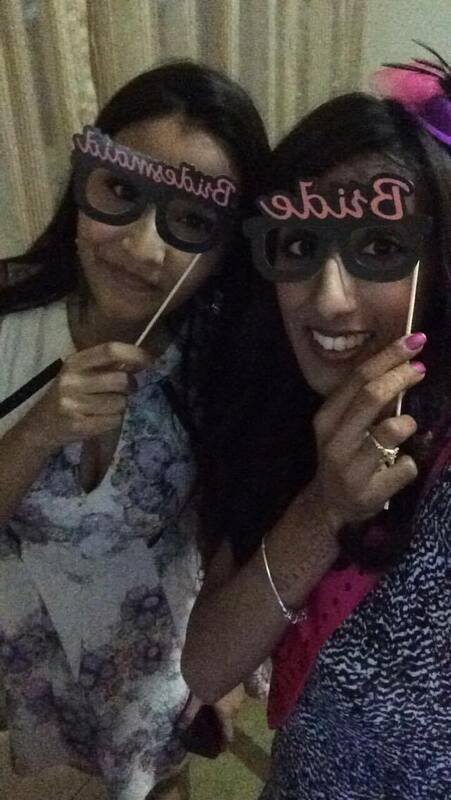 My friends had organised hot and cold snacks, drinks and some party games! 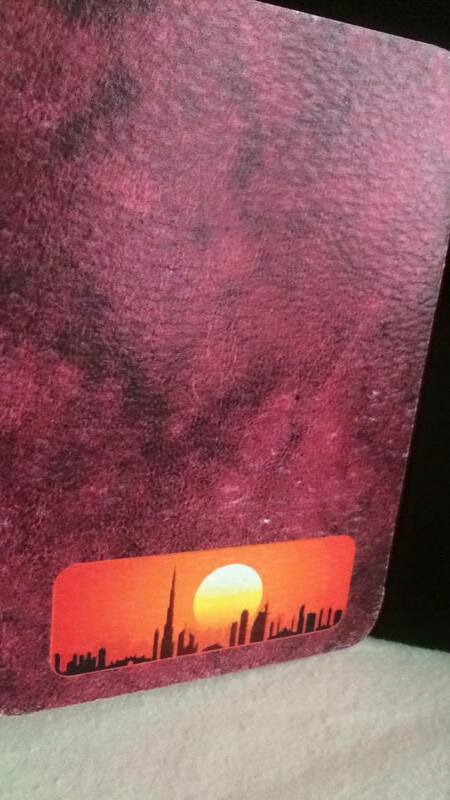 It was a lovely evening with my friends from university and work in Dubai! We had balloons, I had a sash, wand and little clip hat! 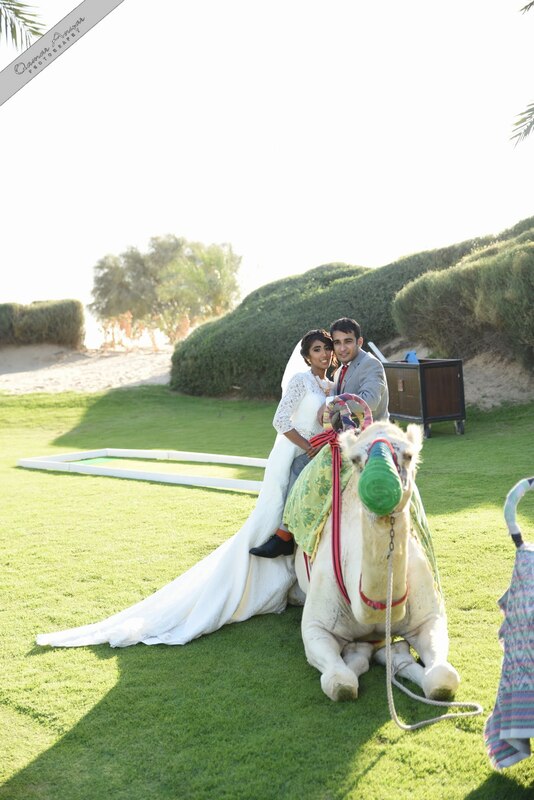 Later, we headed to Stables, Dubai for a while. We were mostly upstairs, which is Texas themed, with a mechanical bull, beer pong and a few other table games! 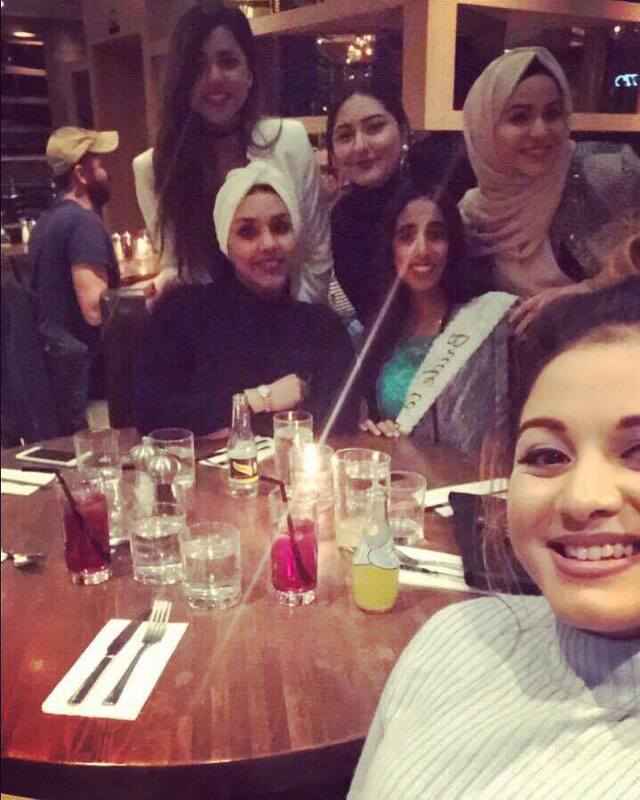 The final picture is of me and my friends in Edinburgh, we were all completing our final year dissertations, so we just went out for a meal! Another sash, another memory! 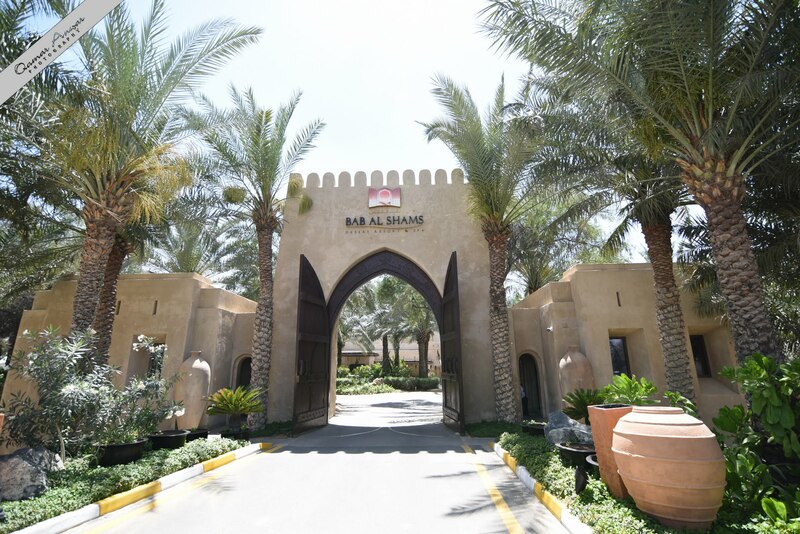 After looking at a few venues from Atlantis to the Burj and a few hotels in the city, we stumbled across the beautiful Bab al Shams Resort, which translates to “Gateway to the sun” from Arabic. The resort is built in an Arabic fort setting literally in the middle of the desert, hidden behind beautiful trees, in the middle of nowhere! It was perfect! 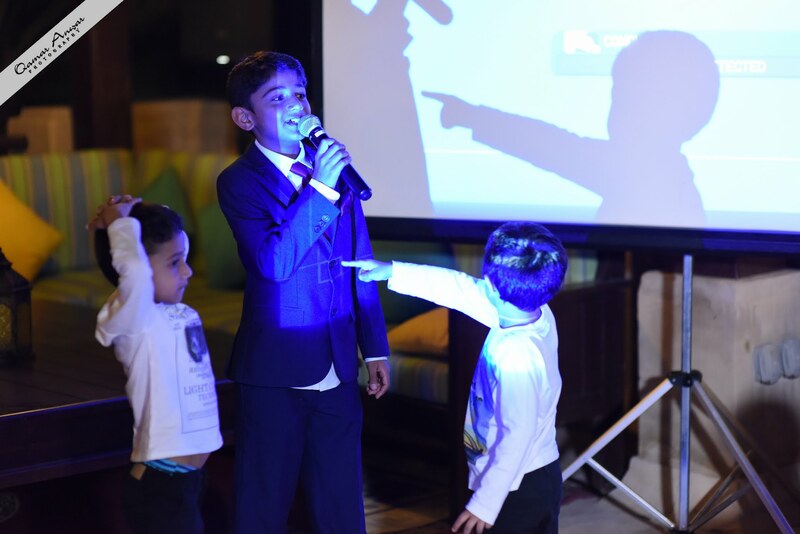 Shaded courtyards, walkways, fountains, a beautiful green golf course, several stunning restaurants and venues to choose from within the walls of one big resort.. 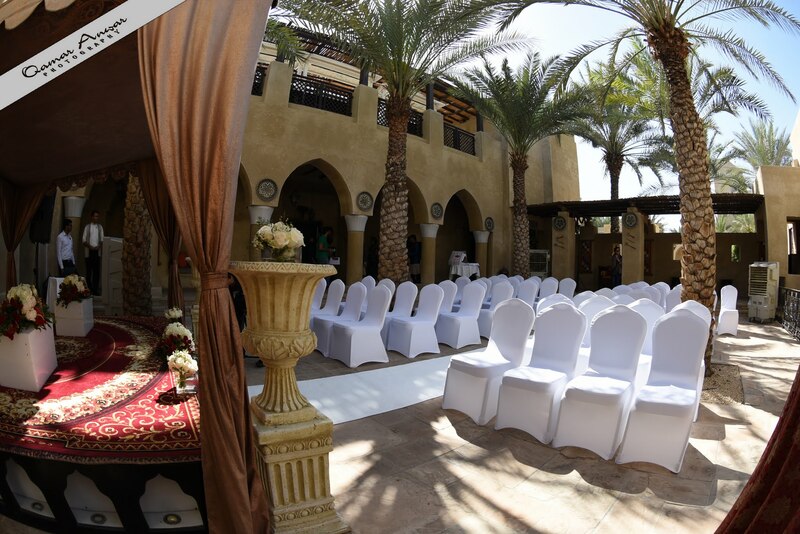 The whole atmosphere was maintained by its constant Arabic majlis, fort style, set in a desert oasis! Once we found the venue we started to centre things around it, from invitations to themes, colours, music and the menu! 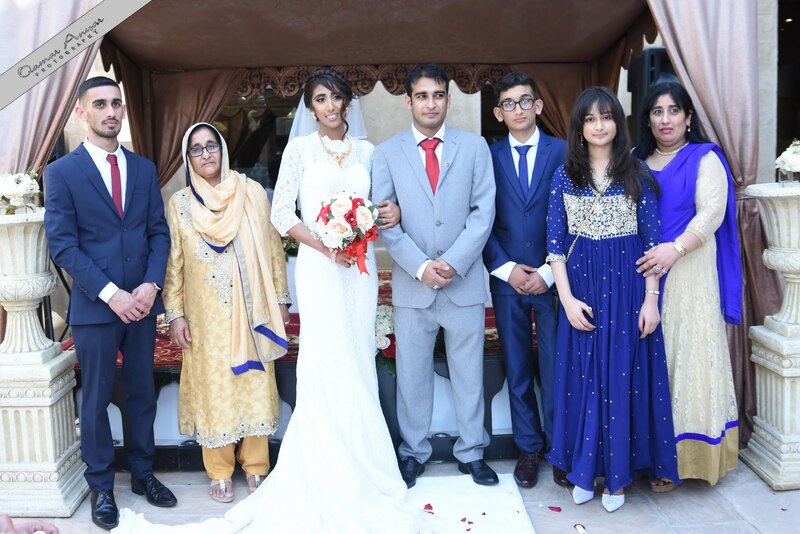 As the wedding was the centre hub for us both, a place we had both spent the last 3years at least, we obviously has family and friends there, but coming from large extended families, most of them were abroad and it was a small intimate affair in Dubai. 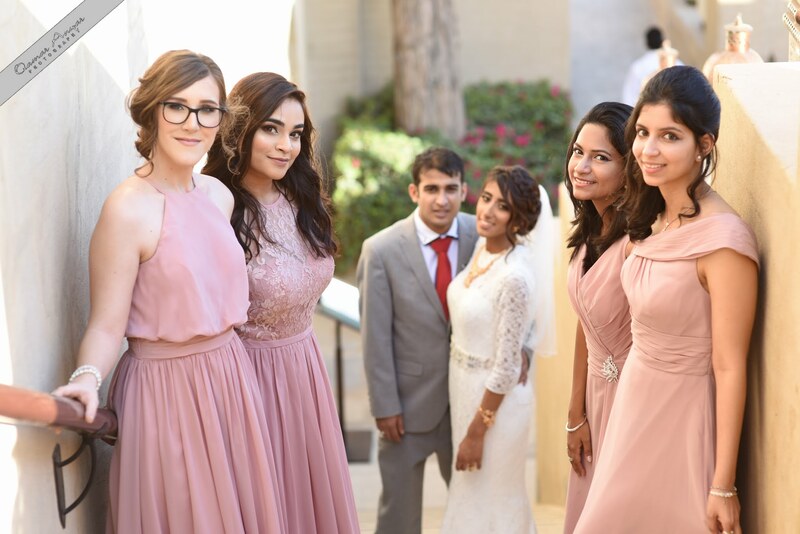 Therefore, we chose the Masala courtyard for the ceremony and the Al scarab rooftop for cocktails and the stunning sun set view after, and just below; the Al Shuruq for our wedding Reception. First and foremost we owe a huge thanks to our wedding planner Princess Sumagui and her team from Bab Al Smas Team, our wedding planner. She helped us select venues, the menu, themes, decoration, she was our rock! 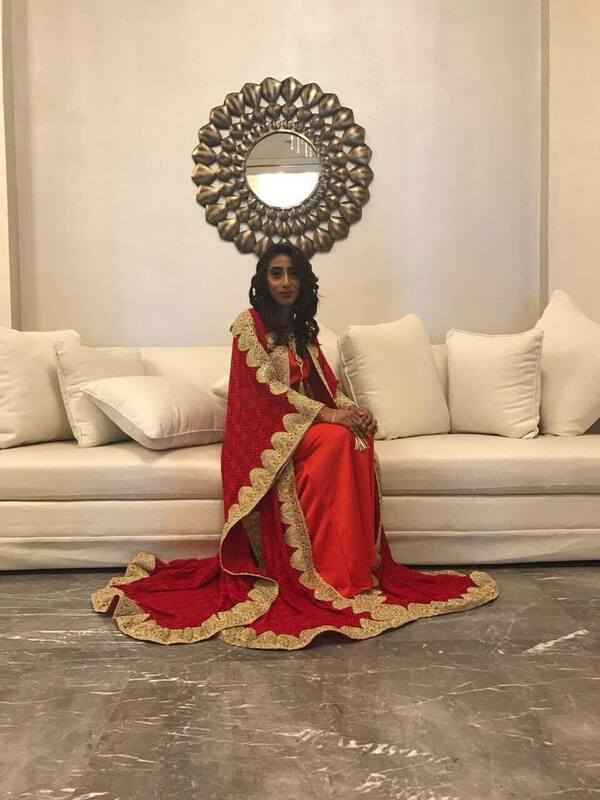 Even though I was in the UK and KJ was in Dubai, her coordination and organizing skills were admirable, nothing would be possible without our very own princess! 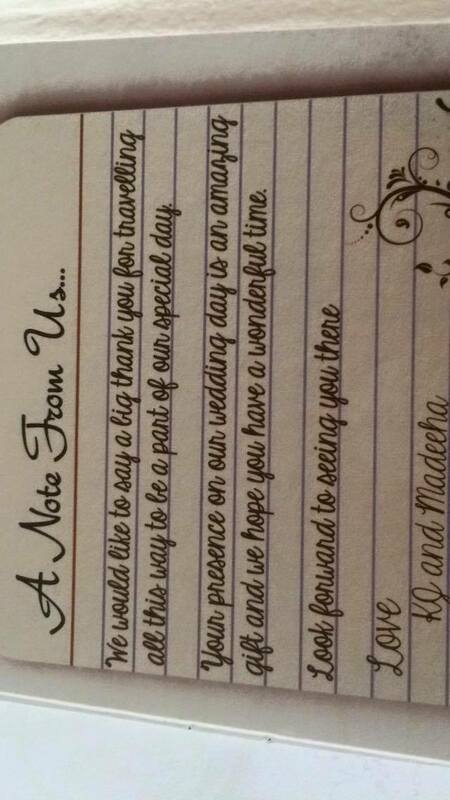 So after the venue, we had to select invitations and menus. For the invitation I found a wonderful home run company; The invite factory , run by the lovely Clive and Carole! For the invitations we decided to stick with the international theme, and have passport style invites. 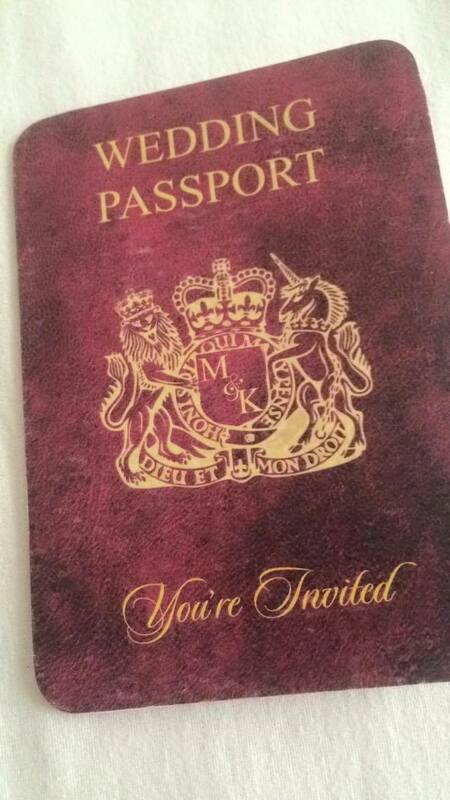 The invitation itself was in the shape and style of a British passport, with our initials on the front and several pages of the information about the wedding inside. (There’s a few pictures below). The process was all done online, with several exchange of emails and proof reading and design discussions, Clive and Carole were VERY helpful and advised us about sizes, pictures and small touches to make our invitation that little bit more elegant. 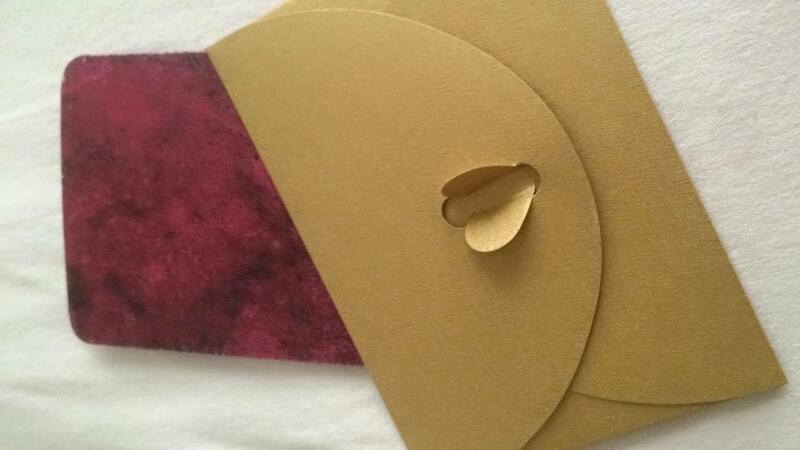 The price of the invites was also very reasonable, compared to store and other online prices. I would definitely recommend them! 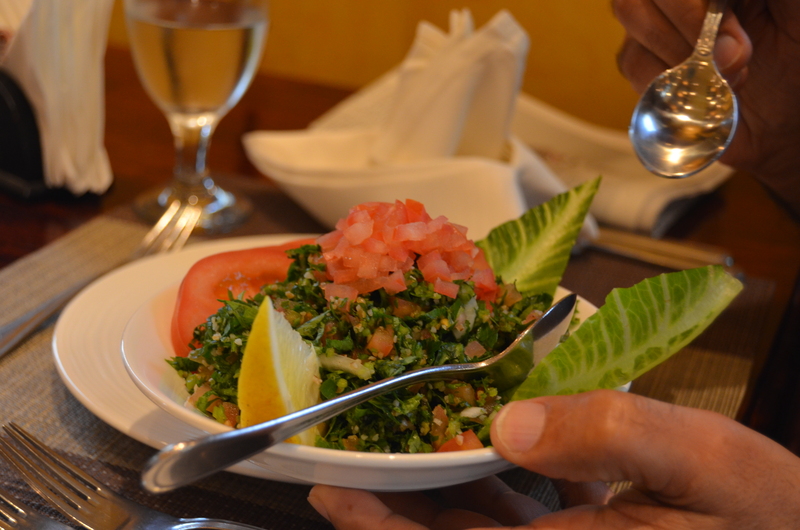 Starters; Hummus, Tabouleh, Stuffed Vine leaves, Potato Harra (Arabic), and Potato with shallots and chives, salmon and baby capers with lime, polenta cubes and Asparagus with shaved parmesan (International). We had a full tasting and rehearsal afternoon 2 days before the wedding. This was very helpful because it ensured the actual day order went smoothly, and due to the hiccup with the imam, we could change a few things last minute. Main; Chicken coriander, Dawood Basha (Lamb), and Grilled prawn in garlic coriander, these were the Arabic choices. From the international menu we had; Breast of chicken in onion sauce, sliced leg of lamb, Chicken/Veg biriyani, Oven Roasted veg, and Oriental and Mushroom garlic fried rice. 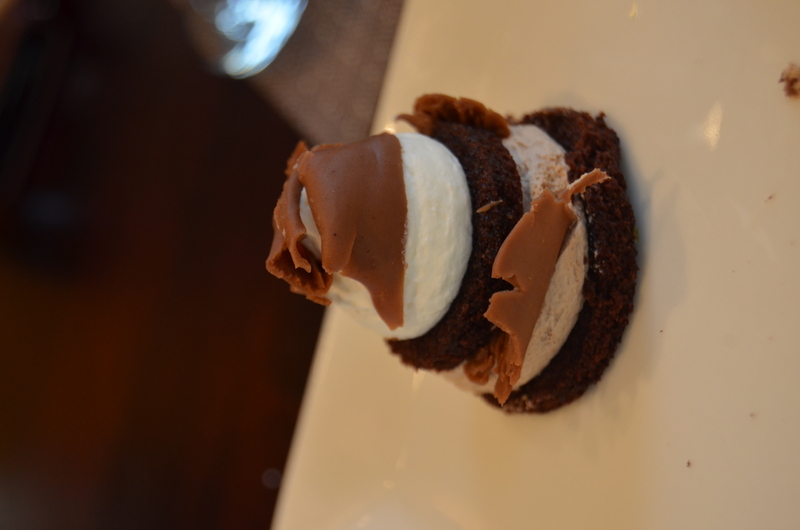 Desserts (MY FAVOURITE! ); Kunaffa Cheesecake, Baklava, Znud el sit and Awamat (Arabic). 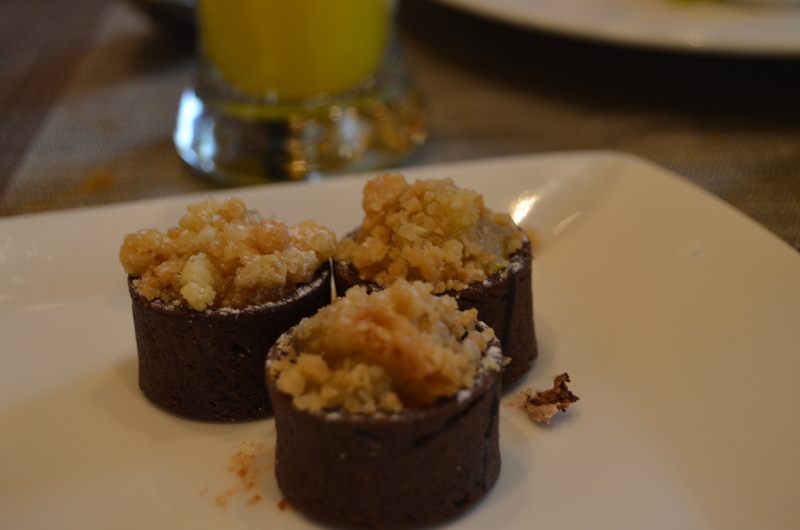 From the international menu; Fresh fruit, crème brûlée, double chocolate mouse, and Apple and cinnamon crumble! 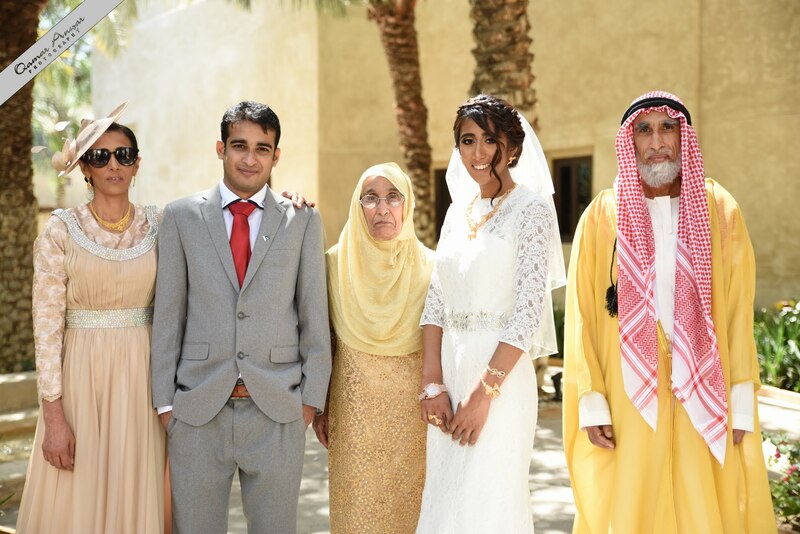 So on April 28th my parents and I arrived in Ajman (the wedding was set to be on the 5th April @ Bab al Shams! ), however UAE law states that a couple must gain permission from the courts in the emirate that the residency visa/s was issued. Contrary to my research, it was not necessary for us both to have a residency visa. 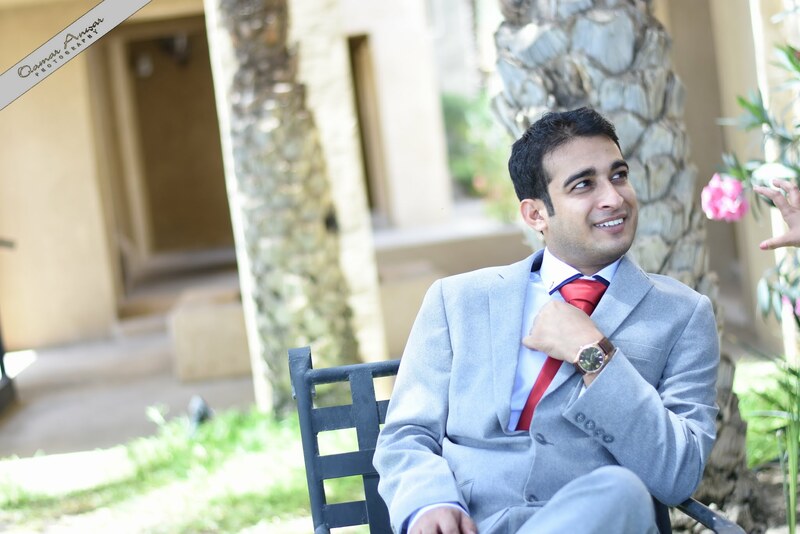 In order to gain permission from the high court of Ajman (The emirate that Kjs visa was issued from), we needed a medical test (Which had to be done in advance, as the results take 3-4 days). After a lot of research I was also under the impression we would need a single status certificate and my birth certificate, and both of these attested by my own embassy and the UAE. This was not true and to be quite honest, I wasted £60 on each document! So anyway, we went to the Ajman courts and met a friendly old man who took us through the process, everything went smoothly until they asked for the name of the imam. 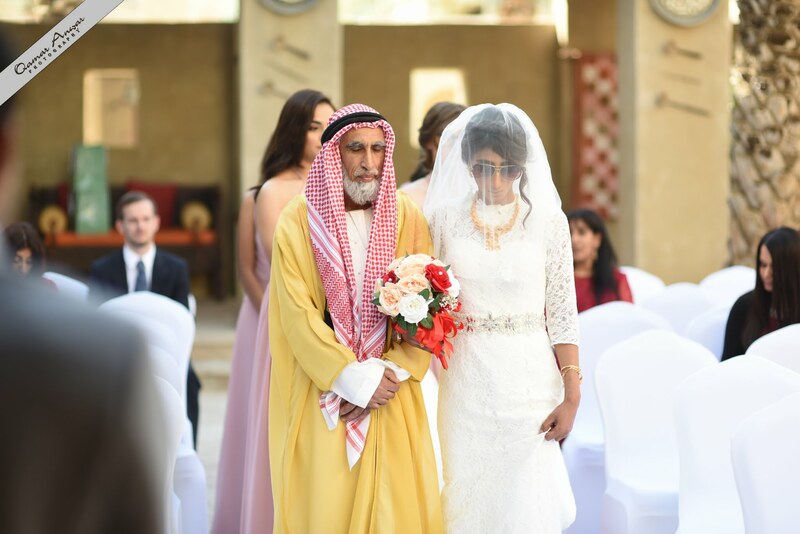 To cut the story short we had arranged for an imam to come to Bab al Shams and read our Nikkah (Muslim religious marriage ceremony), at the resort. However, this imam was no longer in the country and there were only 5 more we could legally use, all of which refused to leave Ajman due to licensing issues… #DisasterStruck. 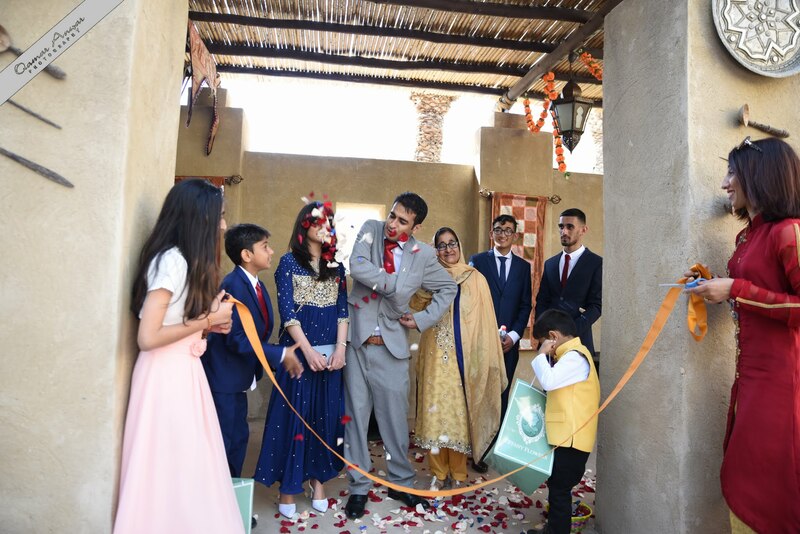 So after a good 15/20mins of calls back and fourth, we were told we must have the Nikkah ceremony IN AJMAN, which was a stress we didn’t need 4/5 days before the wedding.. This meant we would need a new venue, outfits, photographers, etc. 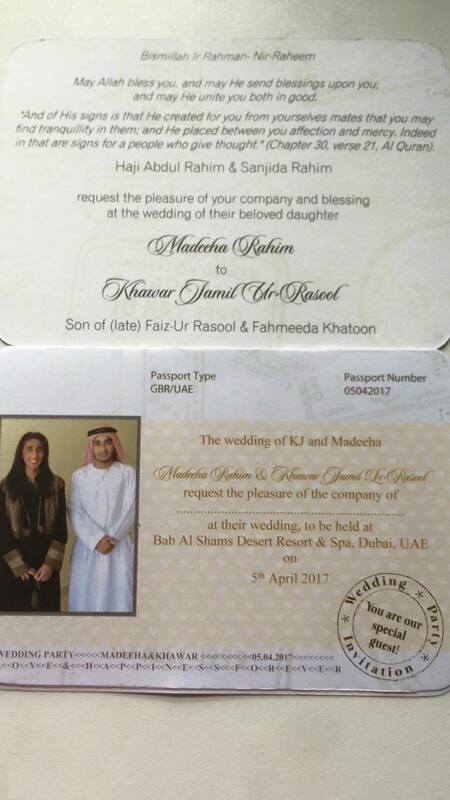 Note to any Ajman residents wanting to marry in Dubai; You will not be allowed unless one of you has a Dubai residency visa! 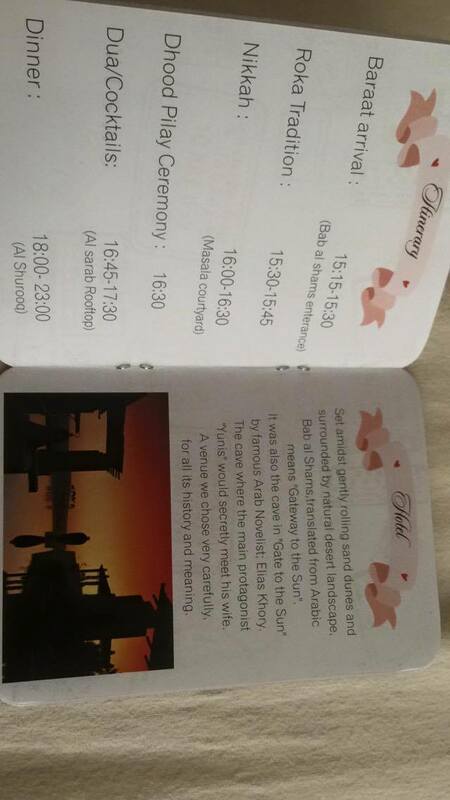 After all this commotion, we booked the imam for the 4th of April, A day before our now “Reception/English Ceremony”. I would advise you to find a representative within the courts to help you through the process, there are usually helpers around, be kind and patient and they will be more than happy to help you. 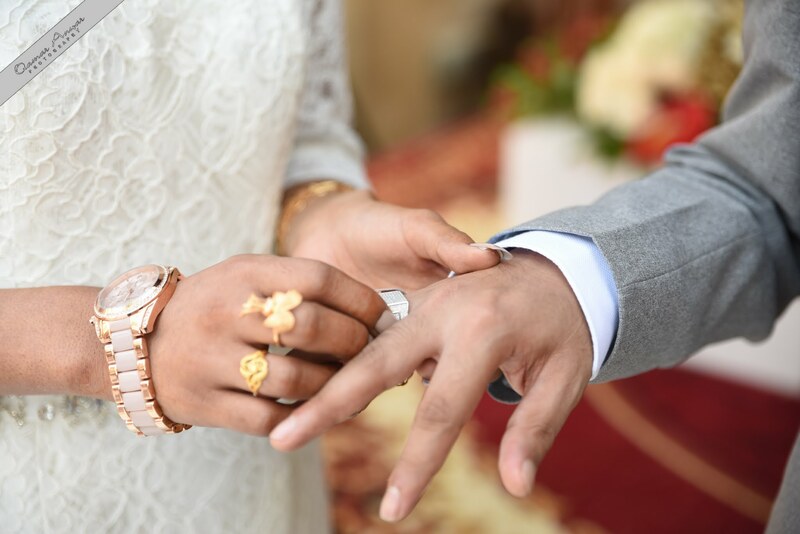 It is a quick process in that you have to submit your documents, get the form typed, the judge will ask you a few questions about if you are going into this marriage of your own accord, confirming your nationality and name.. All regular questions, don’t be worried. It is all done in a normal office type room, so when I say judge I mean the judge is behind a desk not in a courtroom! 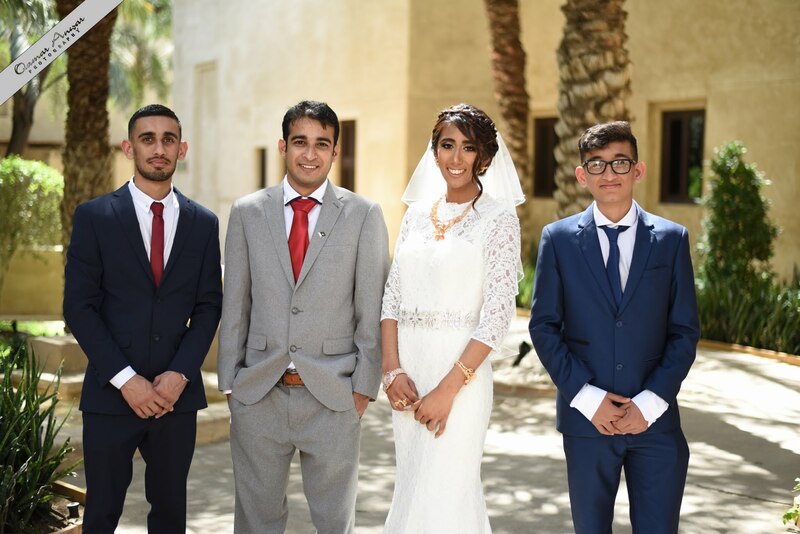 The biggest problem for us was that some family would not be flying in until the day before our PLANNED ceremony, the majority were there but some would miss our actual marriage.. As if that wasn’t enough, we went from hotel to hotel trying to find the perfect venue. 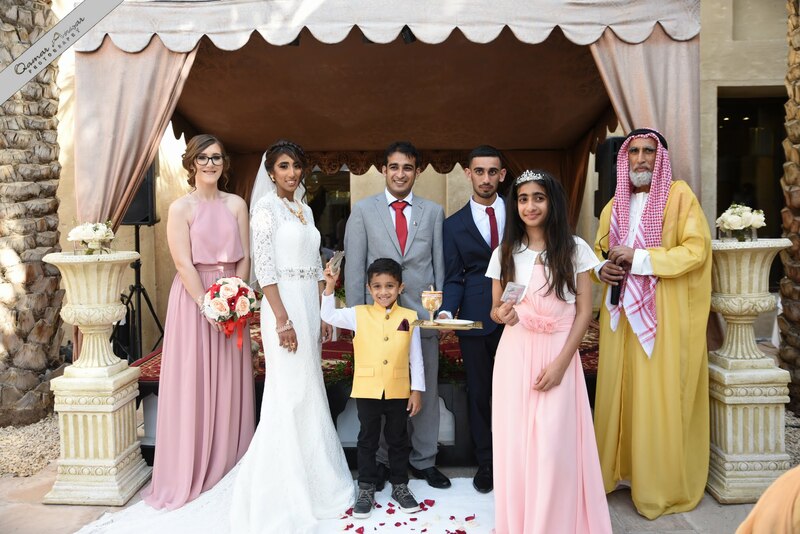 The verona could not cater for our time scale, the Sheraton or Radisson were not IN AJMAN (Merely bordering)… Others were just not adequate for a ceremony. 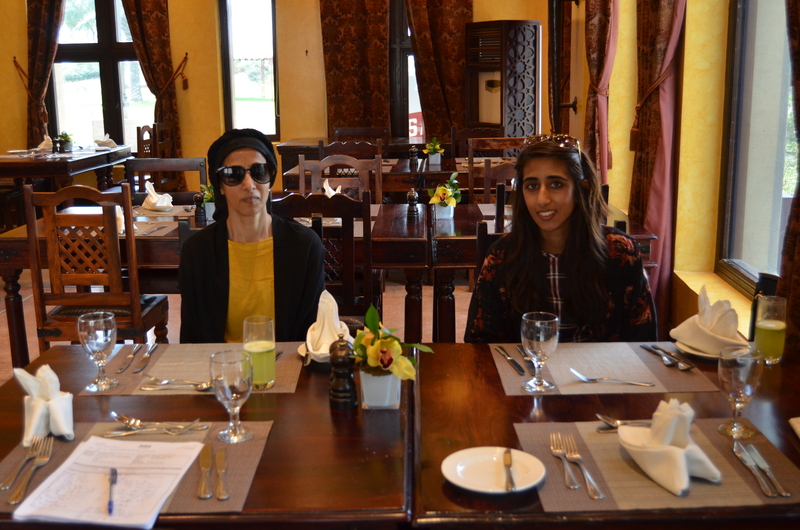 Finally, we came across the Ajman Saray, meeting with Miriam (Events planner for the Saray) was a huge sigh of relief. 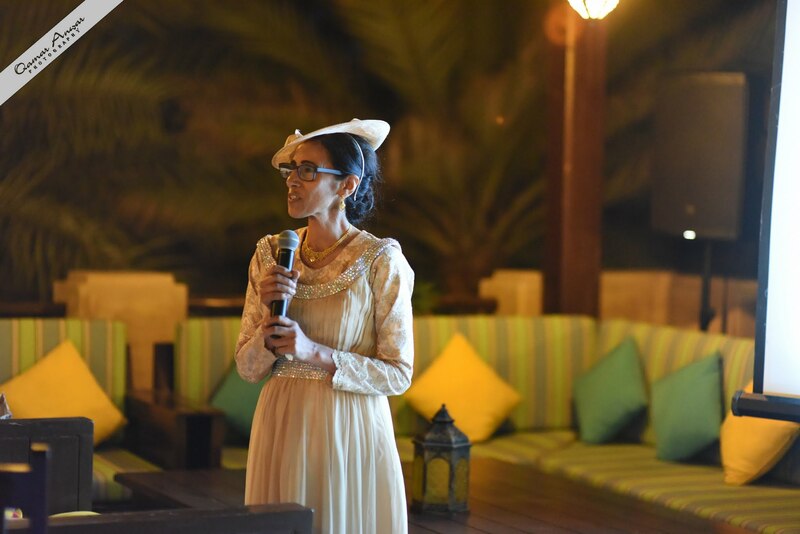 The venue was by the sea, a venue much like bab al shams in that its old, traditional architecture dated to Arabic fort styles, but with a modern hotel look with the glass and interior. I was very upset that everything wouldn’t be on one day, but alls wells that ends well! We got married a day earlier than expected! 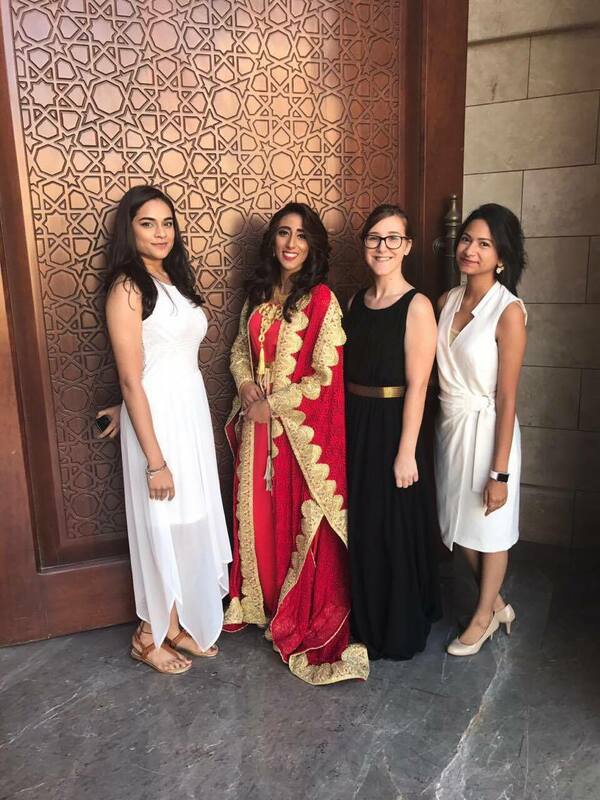 As for my outfit, we went up and down Ajman boutiques and designers looking for the perfect red dress, and just as we were going to give up hope and head for Dubai, we cam across a small boutique by the Abaya roundabout; Sweethearts! In the window of their shop my mother spotted the dress I am wearing above, but in white, so we went in and asked if they had it any other colours. One wouldn’t think that the dress was chosen, fitted, altered and bought 2 days before the actual ceremony! We had happened to come across a wonderful gold Kandura for KJ to match just a few moments later too, it was perfect! We can’t thank the staff and tailor (Raju) at Sweethearts enough, they were very kind and hospitable! 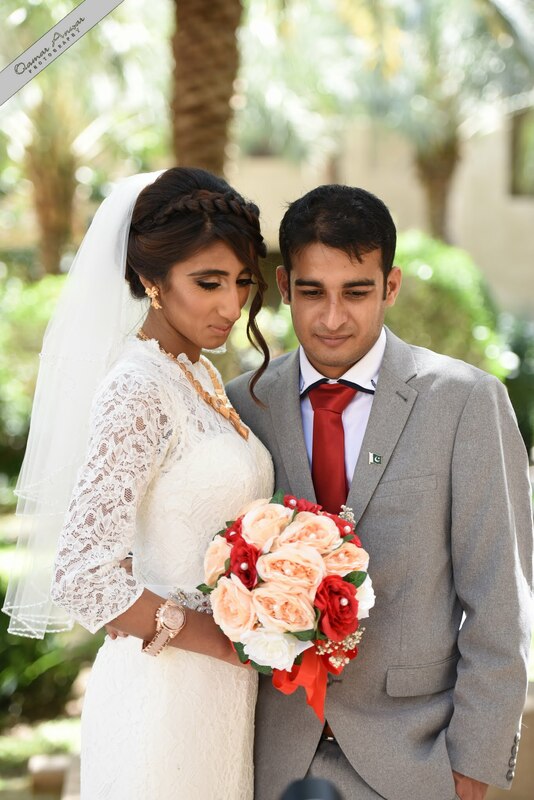 After the measurements were taken we headed out to finalise things like my bouquet (Bought from Al Wali Roastery, Abaya roundabout, Ajman), the photographer (Thank you Josh!) 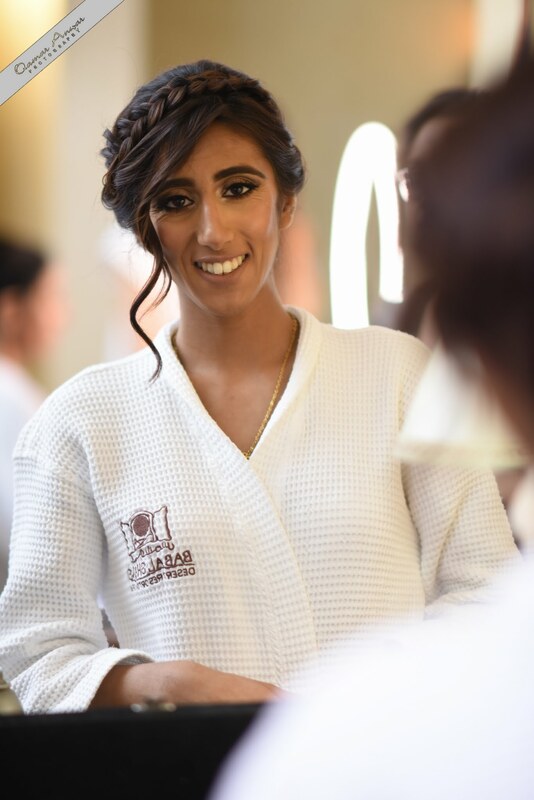 and a hair and make up artist (We stayed at Al Ain Hotel apartment), there were luckily several salons within a 2/3 minute walk! After all this stress, rush and last minute prep, the day arrived and everybody was all over the place! 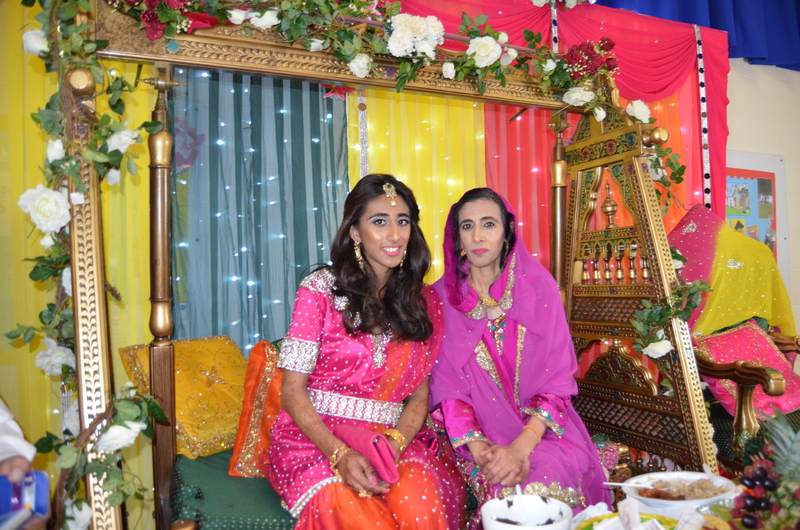 My mother and I set out at 9Am to the Hair and Make up Artists salon, where she enjoyed a Morrocan bath, manicure, pedicure, facial and hair and make-up, whilst I had my hair and make-up done along side! The ceremony was due to begin at 1pm and by 12.45Pm we were just heading back to get dressed. 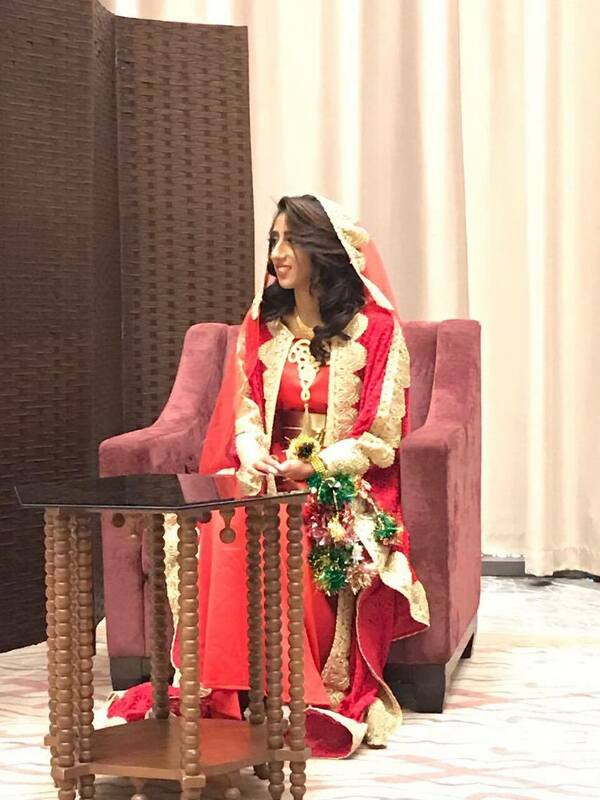 The cars were ready and the guests were all at the venue… We were running a bit late, and the Imam did give us a bit of a scare in that he had other appointments, but all in all, the teaser below shows, it went well. Allhmdullilah (Thank God). TIP: Make sure you are on time, the imam will not wait for anybody! 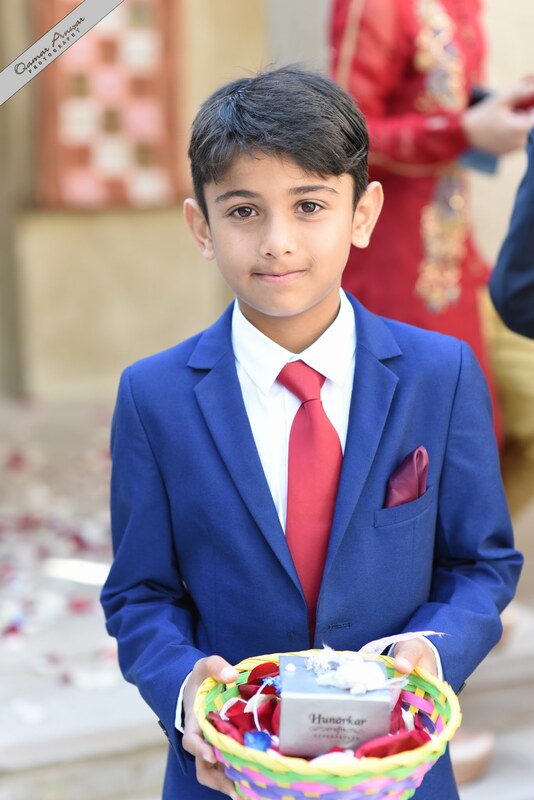 Ajman Saray put on a lovely light lunch for the guests, the meeting room was beautifully set up with a partition and chairs in rows for the guests and the sweets brought by the grooms side were beautifully laid out for our guests to enjoy. It was simple, but elegant and peaceful. We were officially married. The Imam lightening the mood of a very nervous groom! 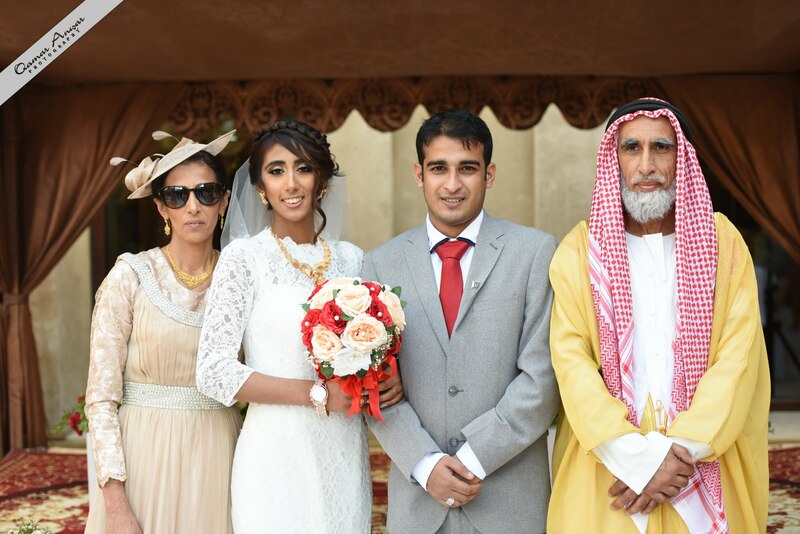 Signing the Nikkah papers: The glitter in my hair looked a bit like paint in all the pictures! 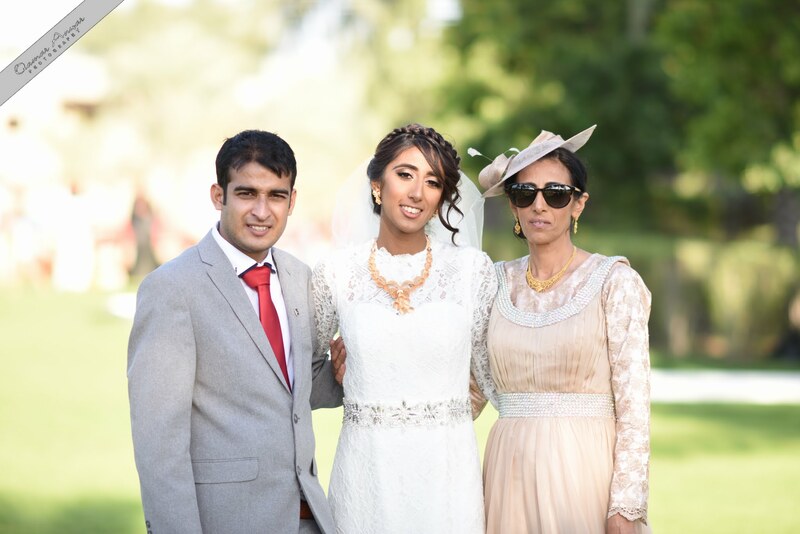 The wedding Day @ Bab Al Shams Resort! So finally the day had arrived… The night before the wedding myself and my family stayed at the resort, we were offered special room rates (Including our own breakfast area for both days). The day after the wedding the grooms family joined us. On the morning of the wedding I can remember being so nervous and after speaking with KJ (Who was travelling to the resort on the day) , he was just as nervous, if not more! 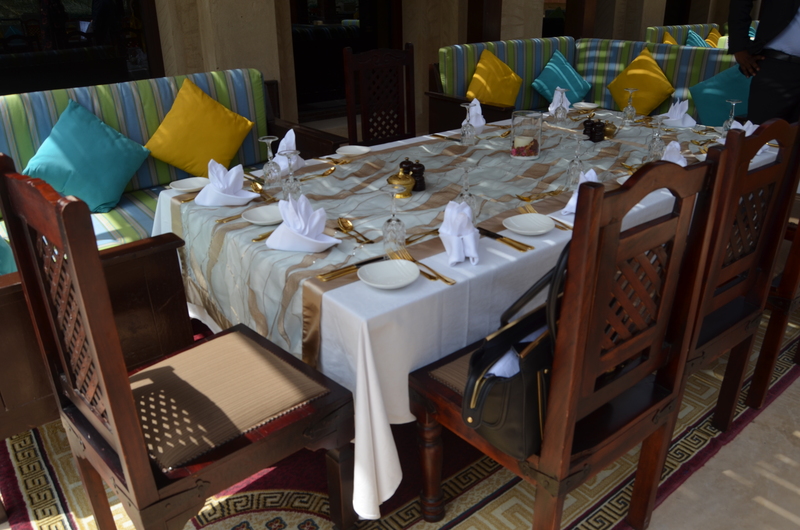 The breakfast at Bab al shams is a split into 3 sections in the Al Forsan restaurant. They have a hot foods section with everything from live egg station, sausages, waffles, pancakes, mushrooms, tomatoes, etc. Then there is a bread and fresh pastries section, a small table full of colourful bread, marshmallows and sweets for the children, small colourful shot glass drinks, fresh fruit and so much more! 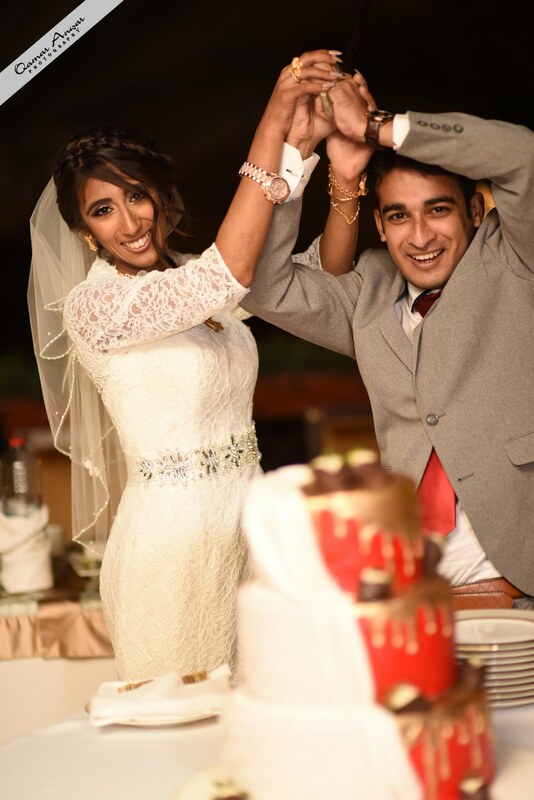 Being the bride, I was given a little special attention and my plates were brought to the table and such, the small touches by the staff at Bab al Shams is what made it such a wonderful experience, a huge thanks to the restaurant manager; Hany Noshy! The breakfast was fresh and delicious! After getting ready, just before the ceremony, we had a few family and couple shots around the resort. NOTE: It is important you outline the places you would like to have photographers with the event planner before hand, as permissions will need to be granted. 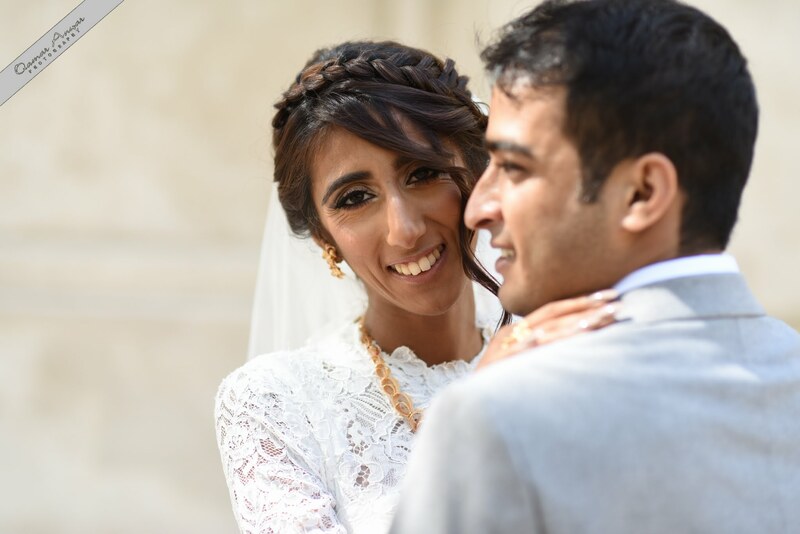 There were so many beautiful scenarios, we didn’t know where to start, but our photographers and videographers from Qamar Anwar Photography were excellent! 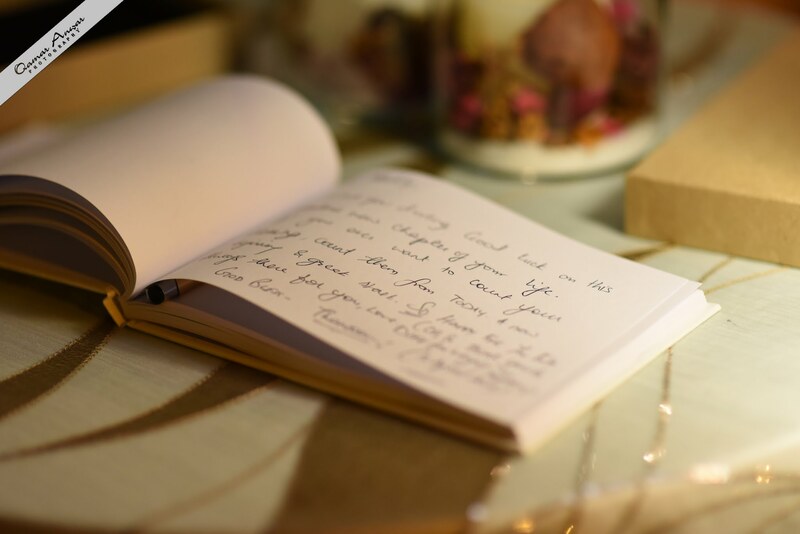 Right from the first meeting to discuss possibilities, to the direction on the day… When you think about your wedding, one always has ideas and plans how they want their pictures, but when it came to the big day, nerves got the better of us both! I particularly liked the photographers creativity with a few of the shots! The ceremony was a small prayer and exchange of rings with a few words said from both sides. 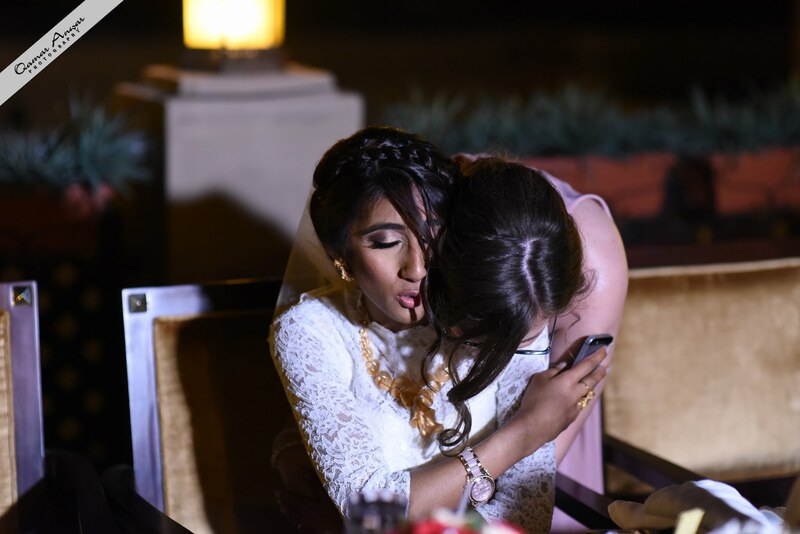 As we had already done the religious ceremony (Which we were supposed to do at the Masala Courtyard), we improvised with a condensed version of an english ceremony. 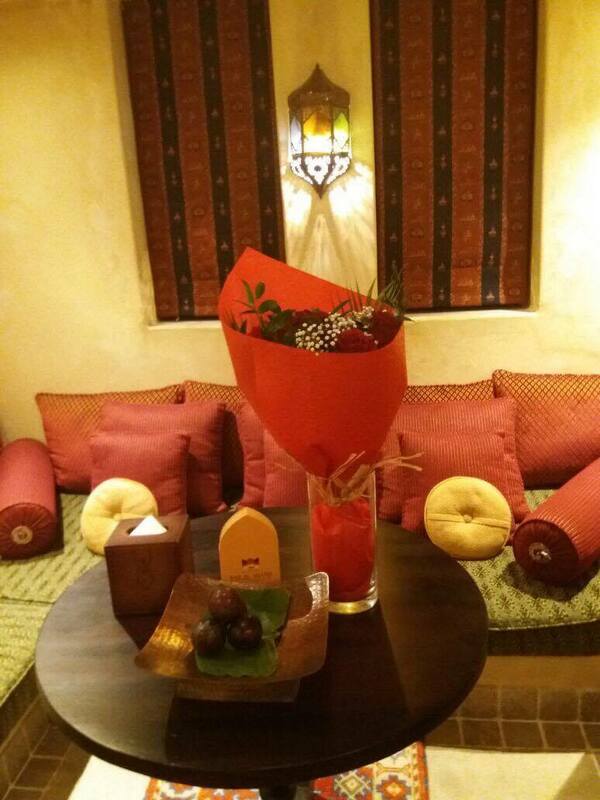 The masala courtyard is perfect for a small intimate affair, even in the heat. It is shaded by surrounding walls and is the perfect place to have an isle, leading to the stage at the top! 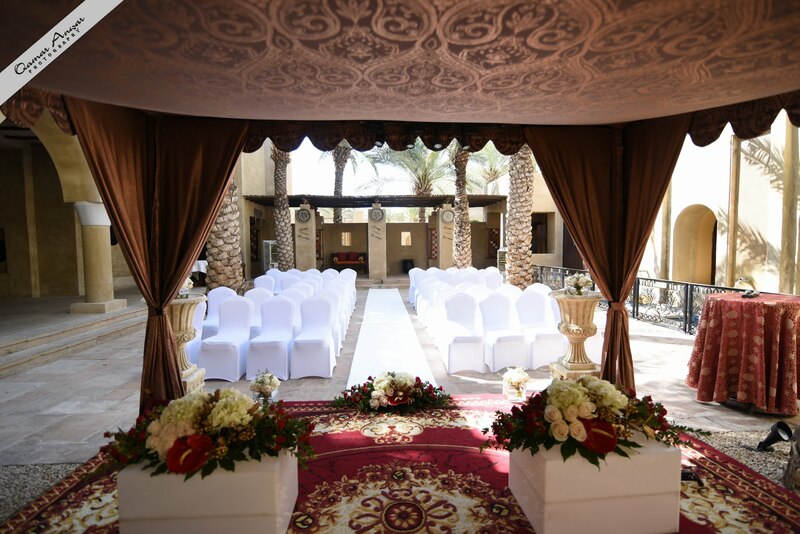 The courtyard is generally used for traditional music players in the evening for hotel guests, then transformed into a wonderful wedding ceremony venue when needed. The Rokha- Cough up the cash KJ! Walking down the Isle with my father, flower girl and bridesmaids and young nephew! 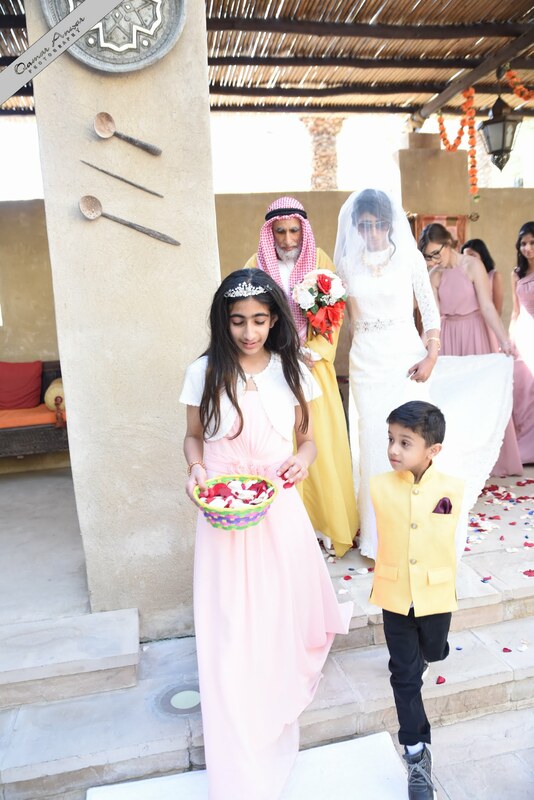 After the ceremony, our guests were escorted to the Al sarab rooftop and Al shuruq for the cocktails and wedding reception. 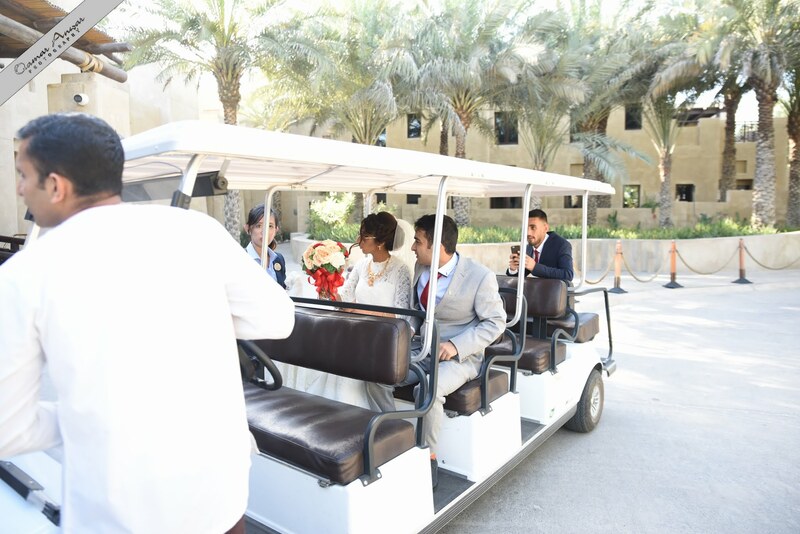 It was about a 5-8minute walk, so myself and KJ (And his 3rd wheeling best man) were taken on a buggy, provided by bab al shams. We had looked at other possibilities like a horse and carriage, but this was not possible as the road to the other end of the resort was very narrow. When we were planning, the tables at the AL SHUROUQ looked far too low, but on the day these were higher and proper chairs were put in place with ribbons and the buffet down the middle. The views from the Al sarab rooftop whilst we enjoyed cocktails were fantastic! The tables and podiums were taken away so our guests could walk around with ease, enjoying the cooler temperature, cold drinks and light refreshments and another chance for photographs! Our photographers had gone for a wonder and suggested we have some shots in the golf course gardens! The old walls of the rooftop and green grass of the golf course was simply stunning. 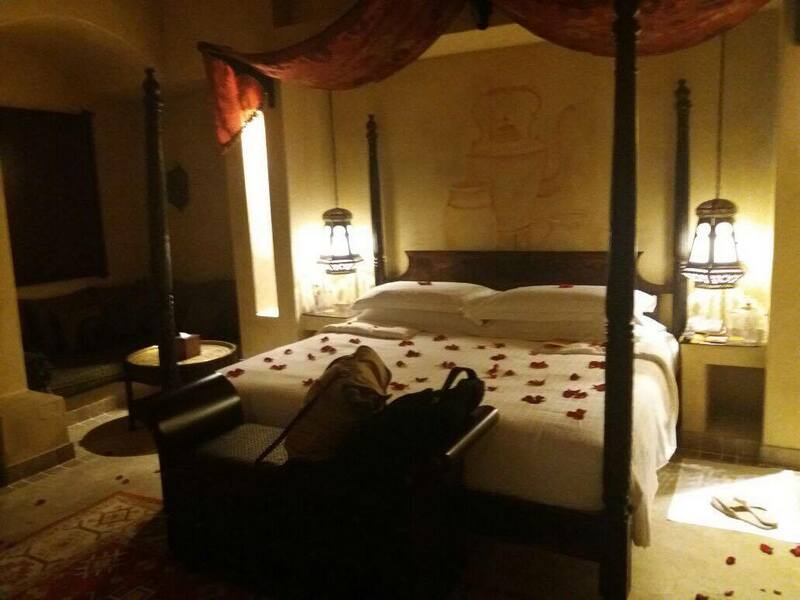 Every part of the resort is a different experience, but following a similar old Arabic fort like style continuously. 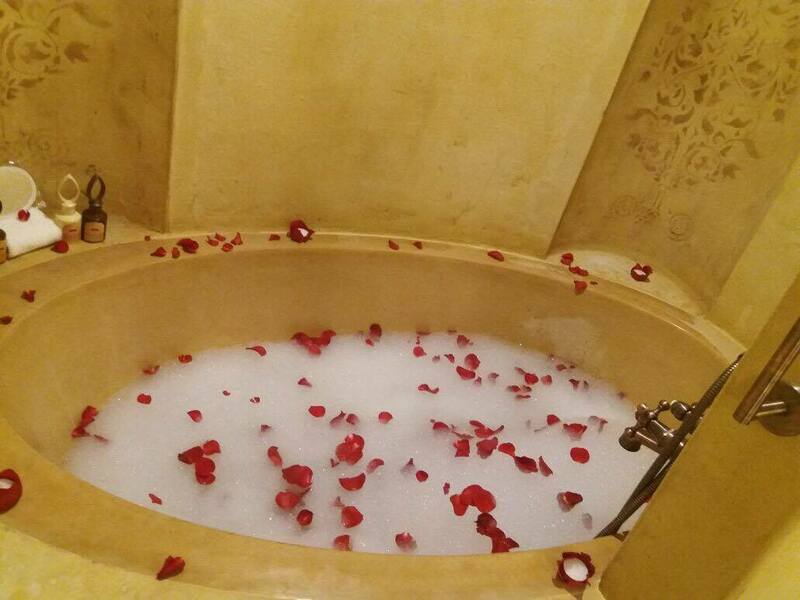 As the newly weds, we were upgraded to the “Honeymoon suite” On the other side of the resort, with our own private courtyard, a room full of rose petals and a bunch of flowers from the Bab al Shams team! We hope to return for our anniversary, as it was an unforgettable experience. 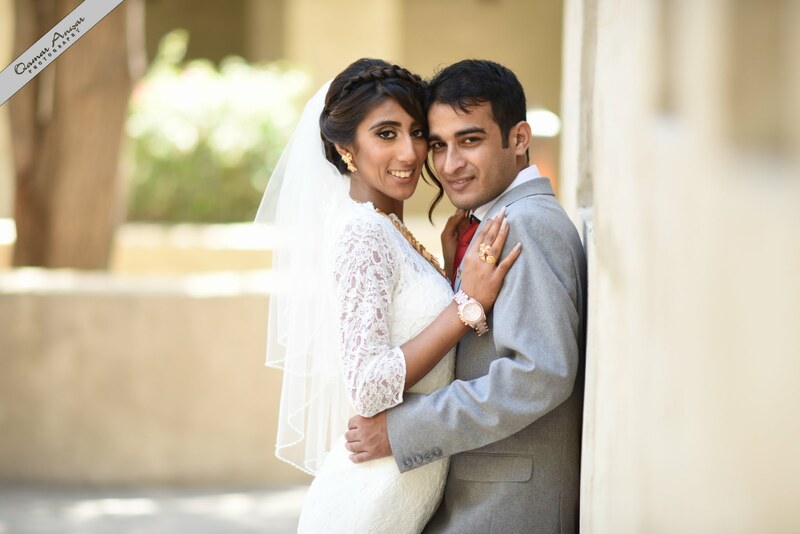 As a child I always dreamed of getting married in a castle, this Arabic fort was nothing short of a castle. It was a dream come true, and we wanted to share our experience. 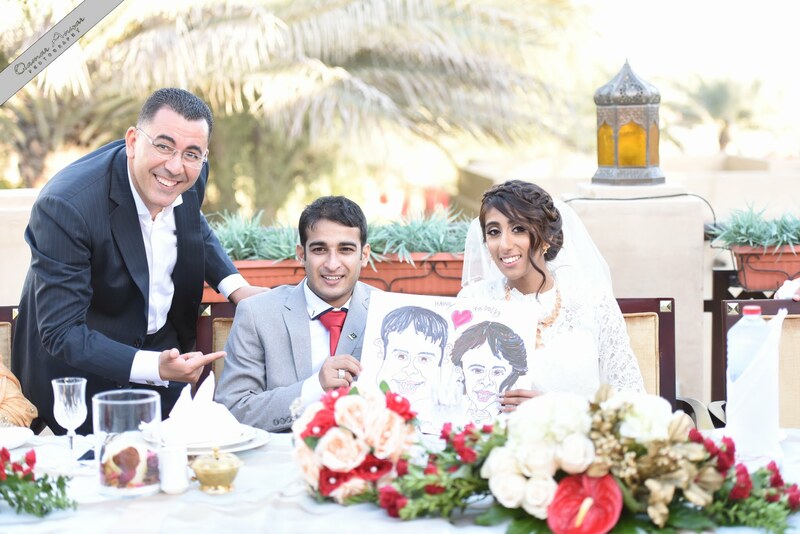 We also wanted to show our gratitude to the team and staff at Bab al shams and hope it will see many many more weddings! The location is away from the city, so you can avoid traffic, people (to an extent) and the general hustle bustle of the busy city Dubai is. 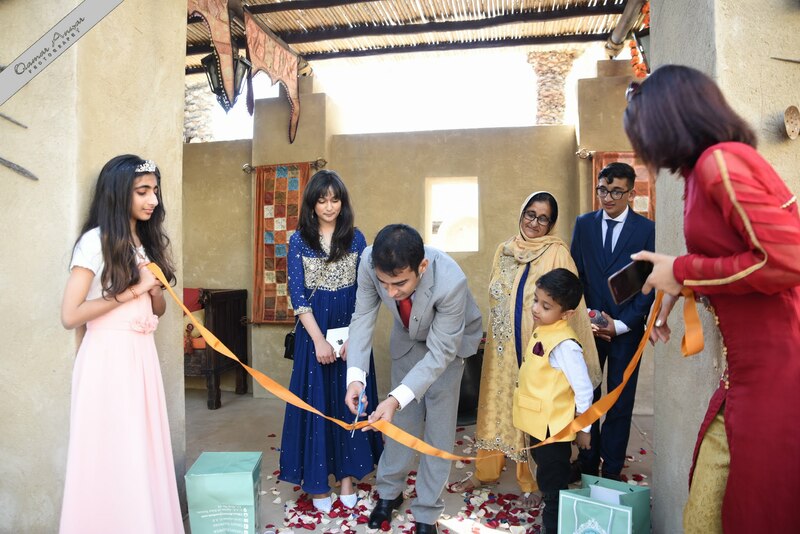 The resort itself offers so much diversity, in retaining its Arabic fort roots in the style and design, as well as offering modern amenities and services. 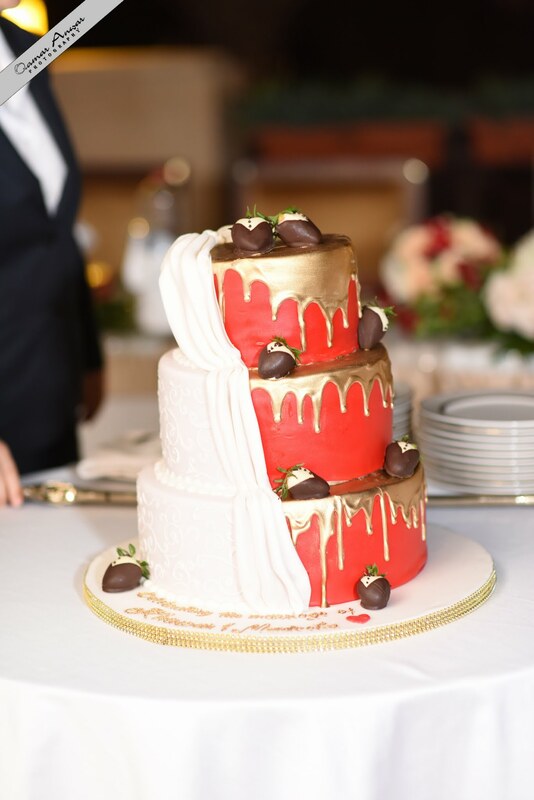 A Huge thank you once again to Princess, Hany, Carole, Clive, Arman, Gora, Madiha, Ana, Arman, Cris, Daniela, and our friends and family for the constant support, love and being a part of our special journey. Last but certainly not least Thank you to both our parents, who brought us up, gave us life and a special thanks to the effort they put in. 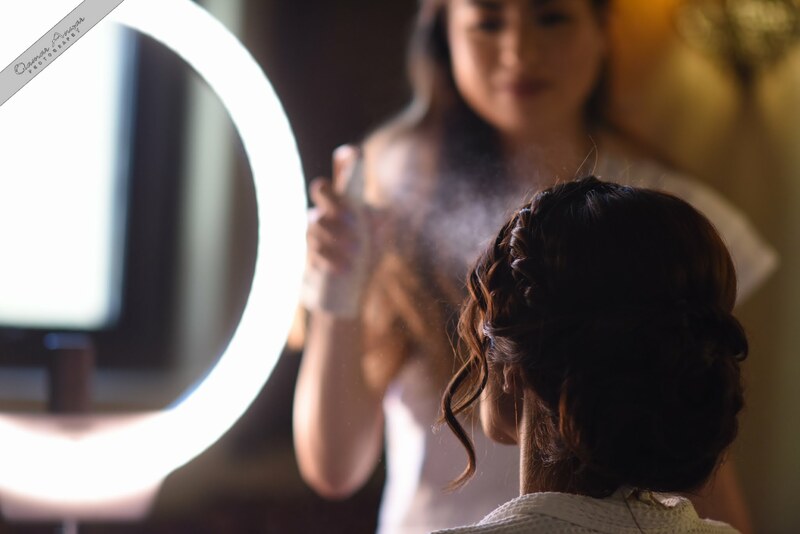 From the sleepless nights and early mornings to make every little detail perfect. Words cannot display what you mean to us both.